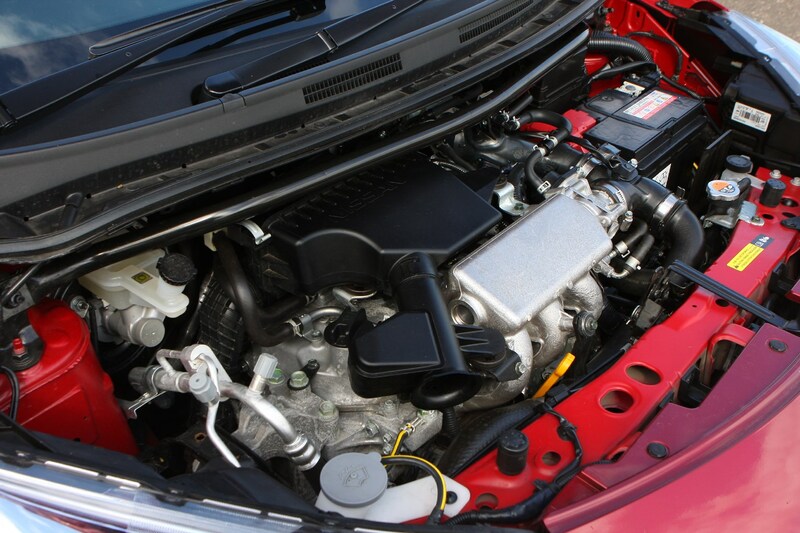 Insurance group: 6 - 10 How much is it to insure? 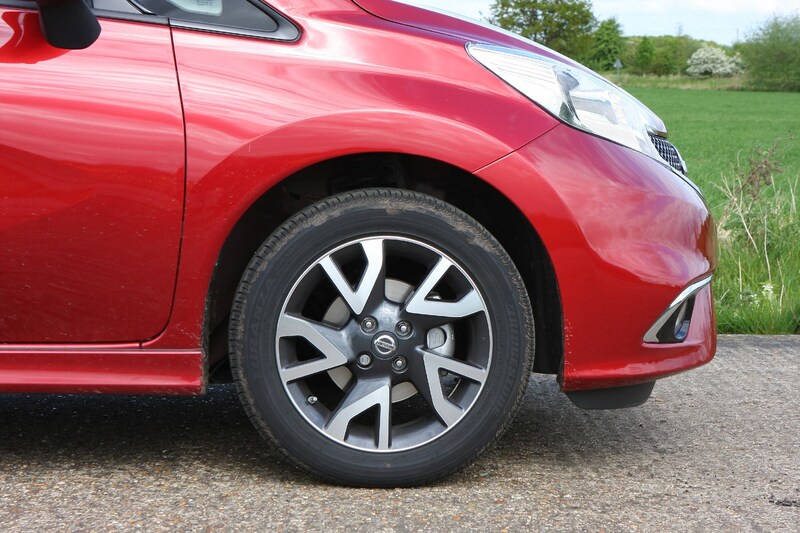 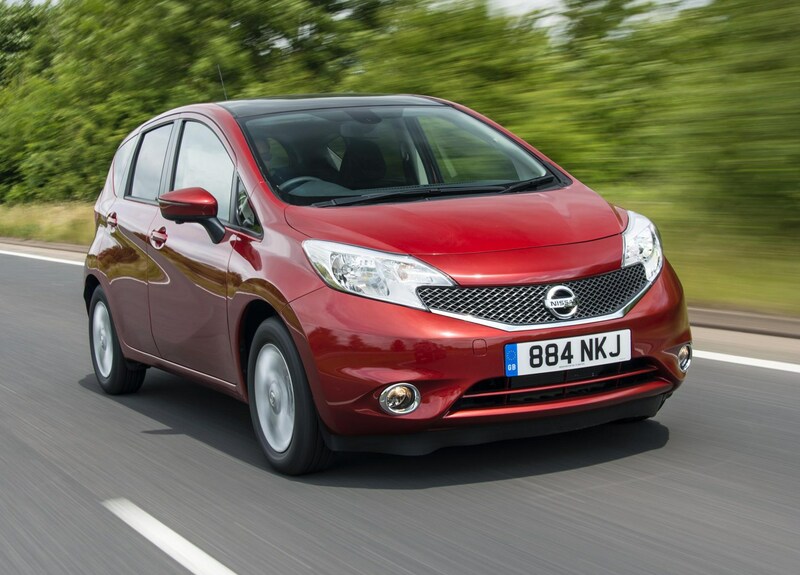 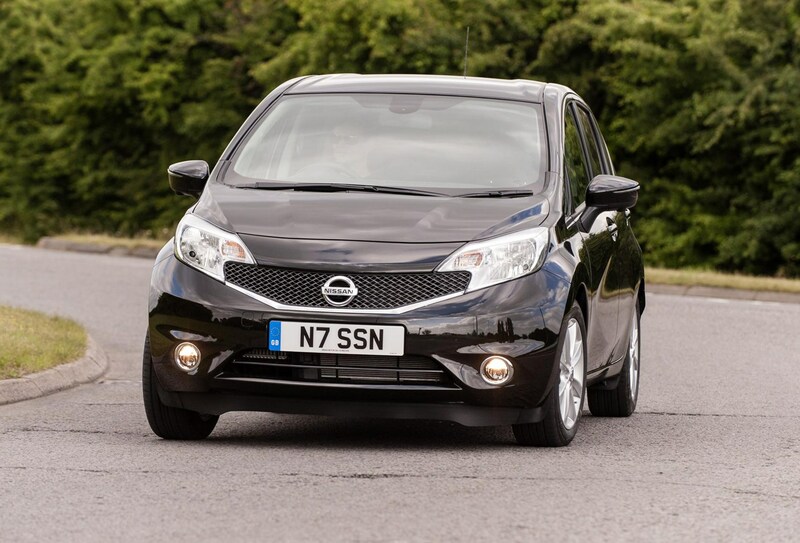 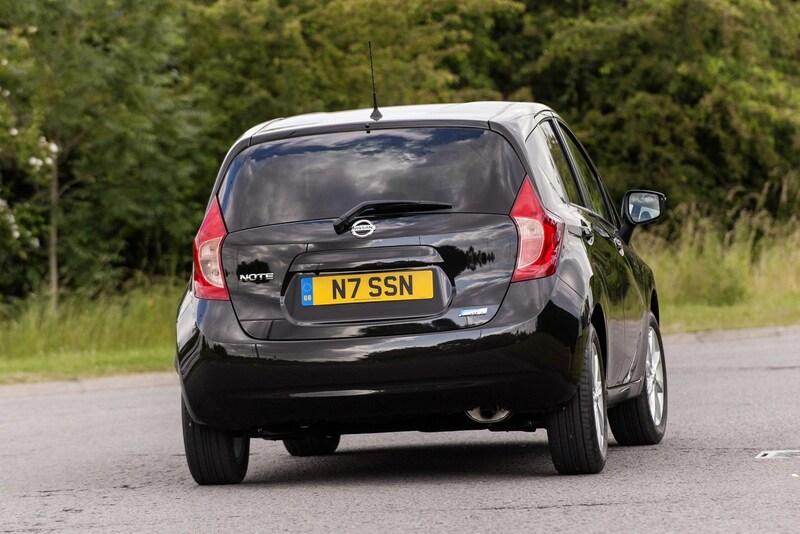 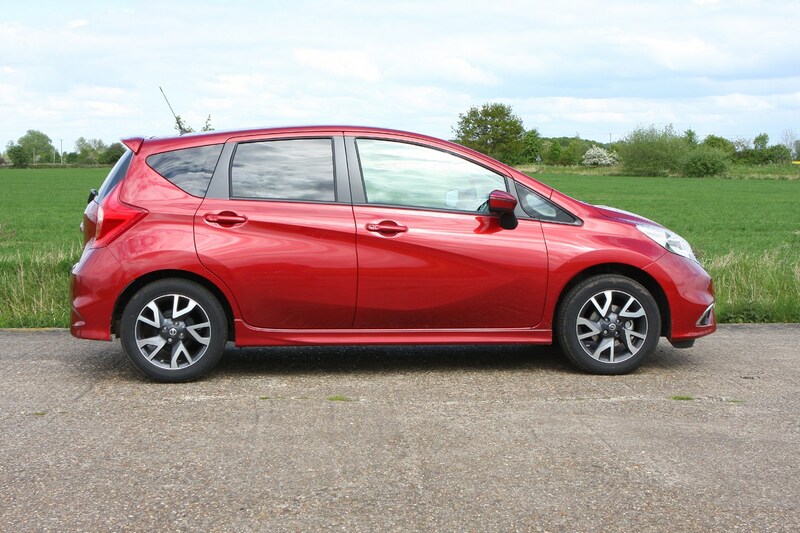 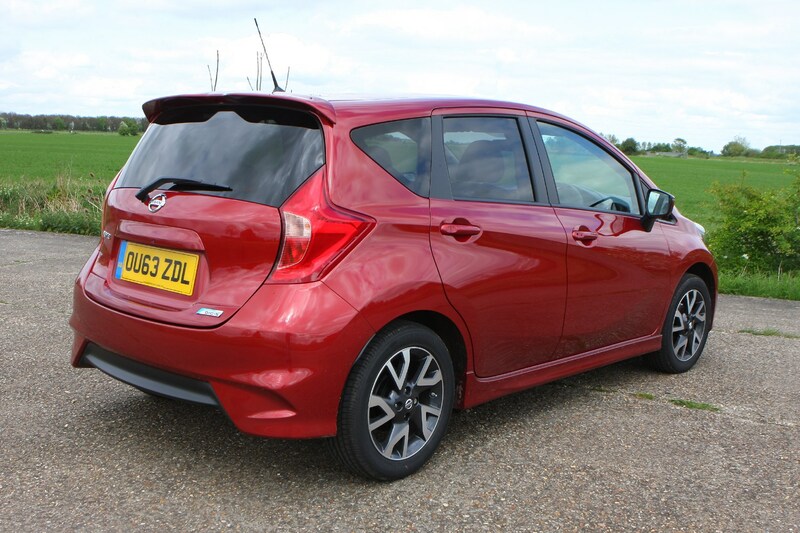 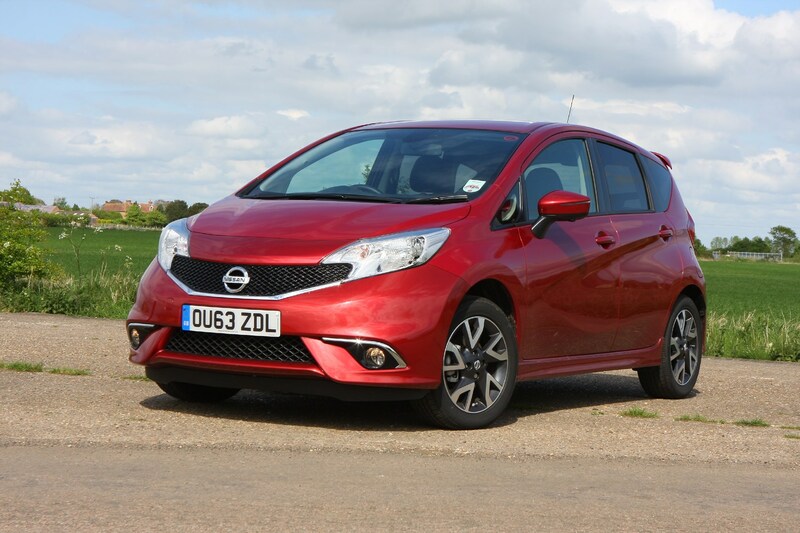 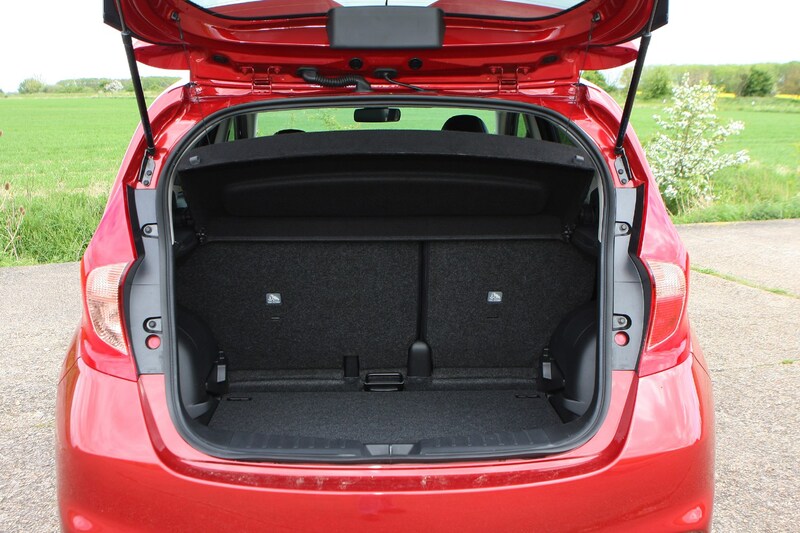 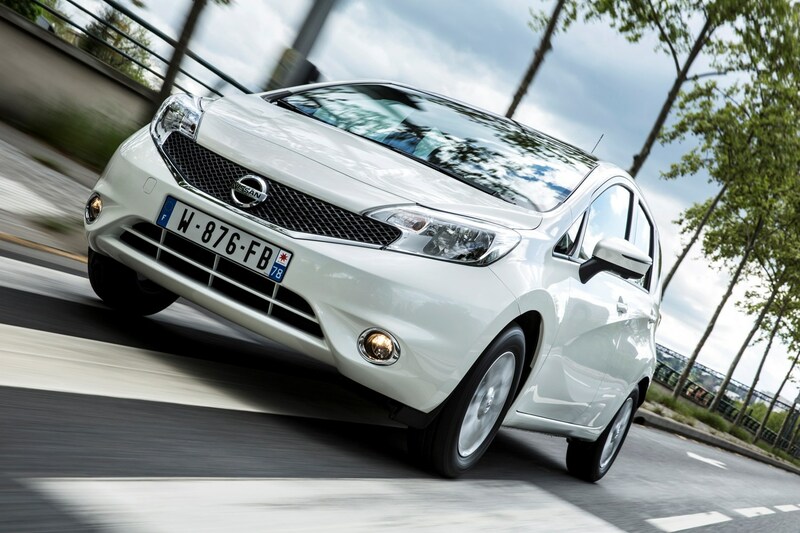 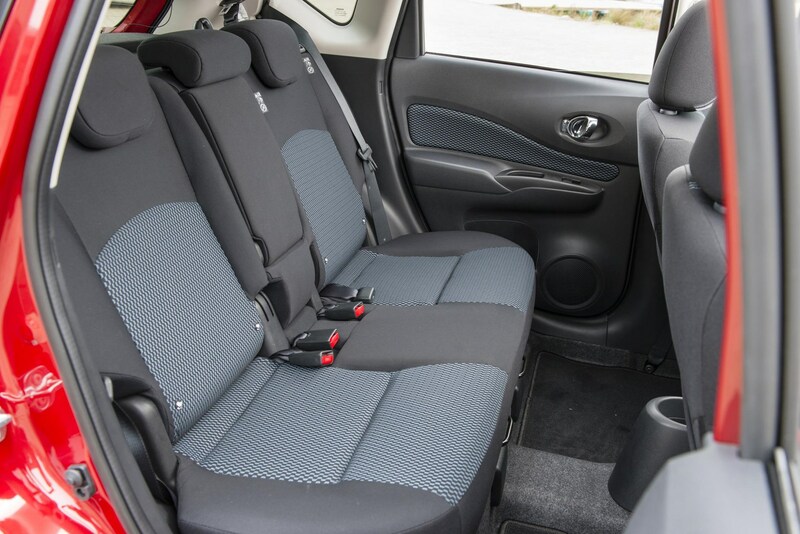 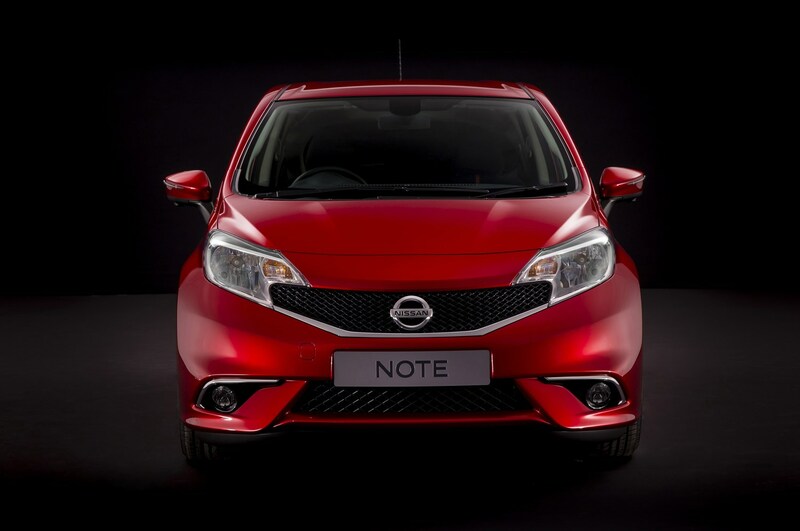 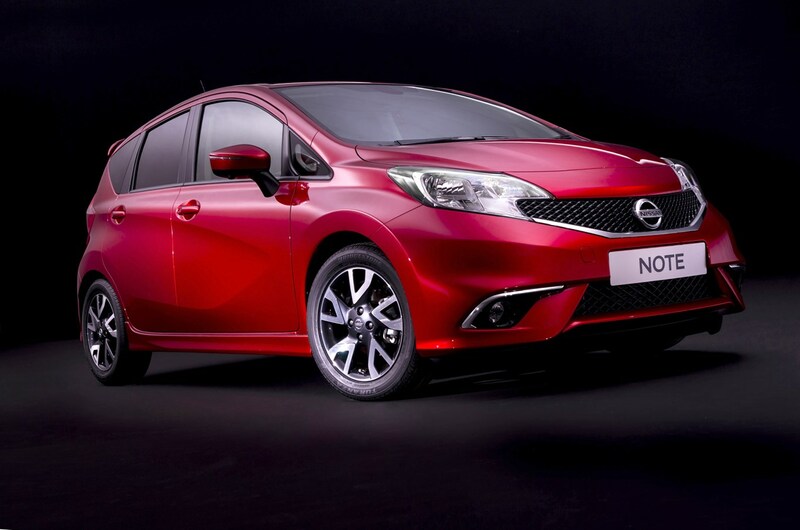 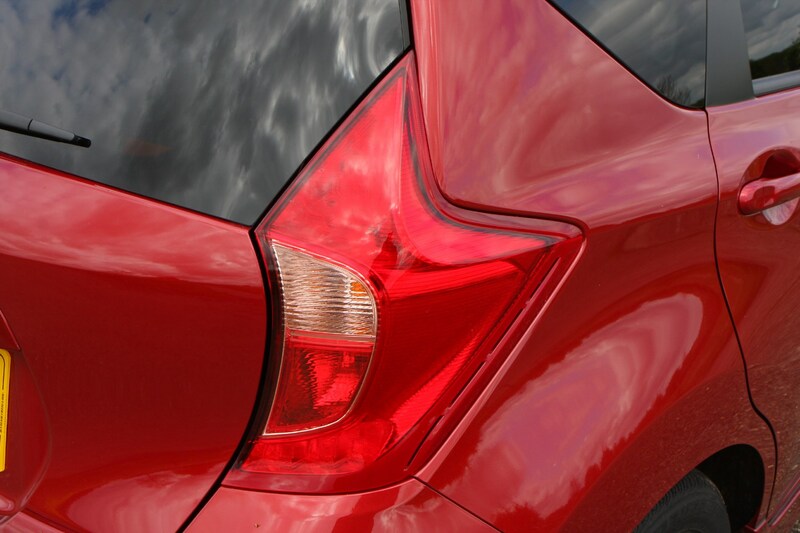 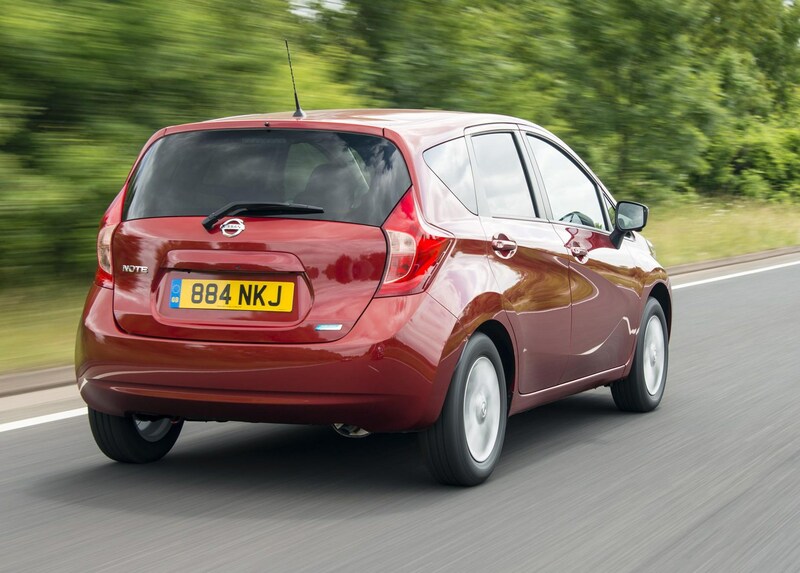 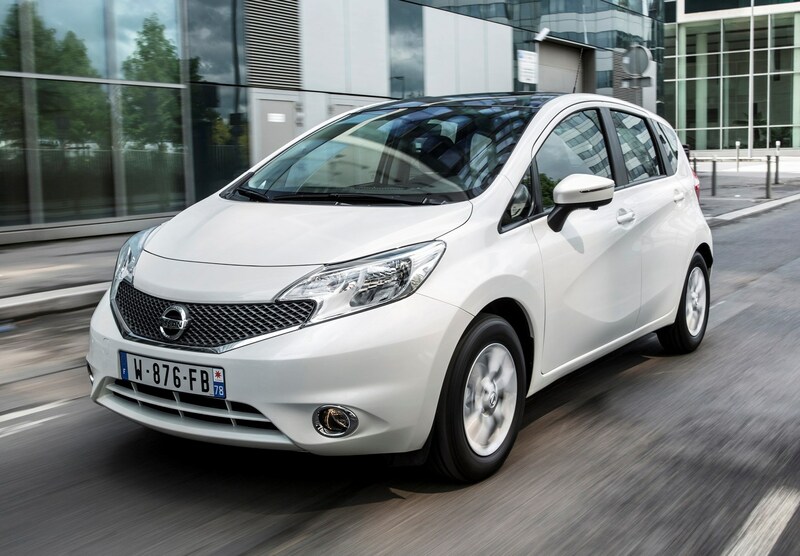 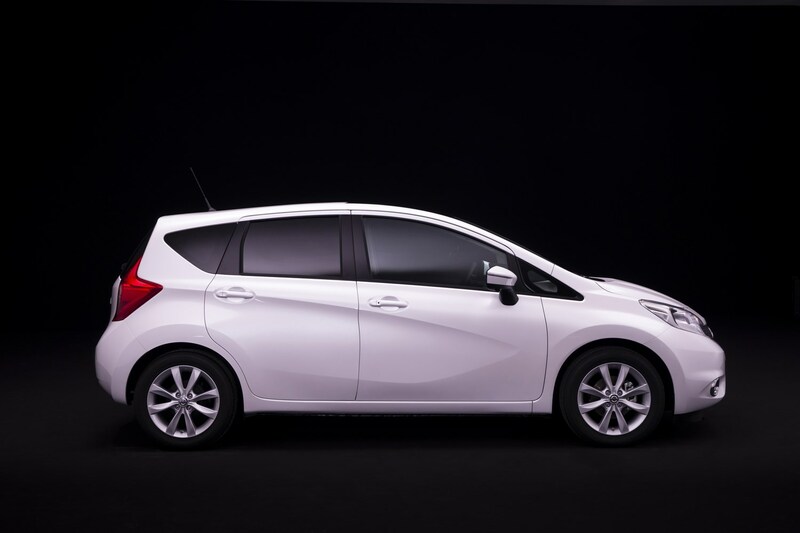 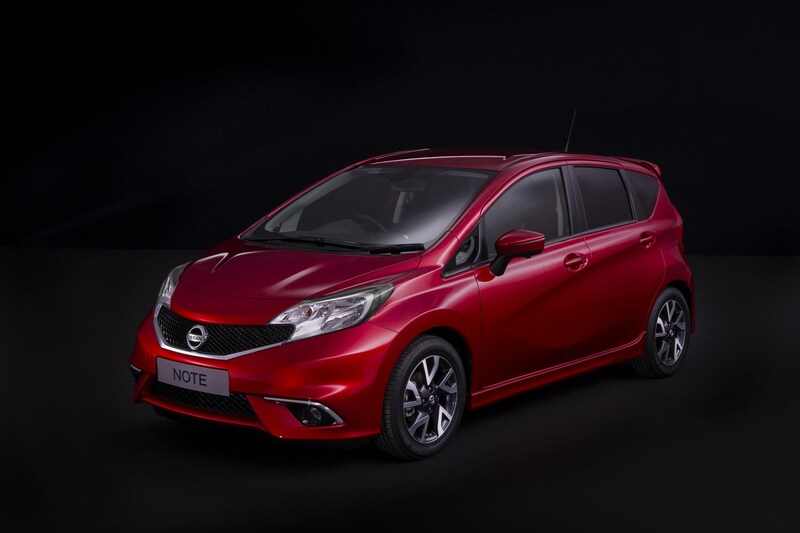 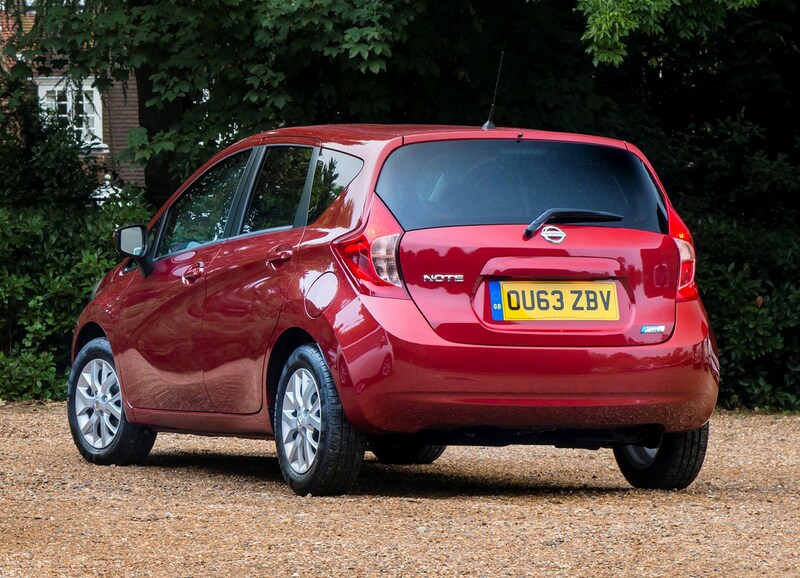 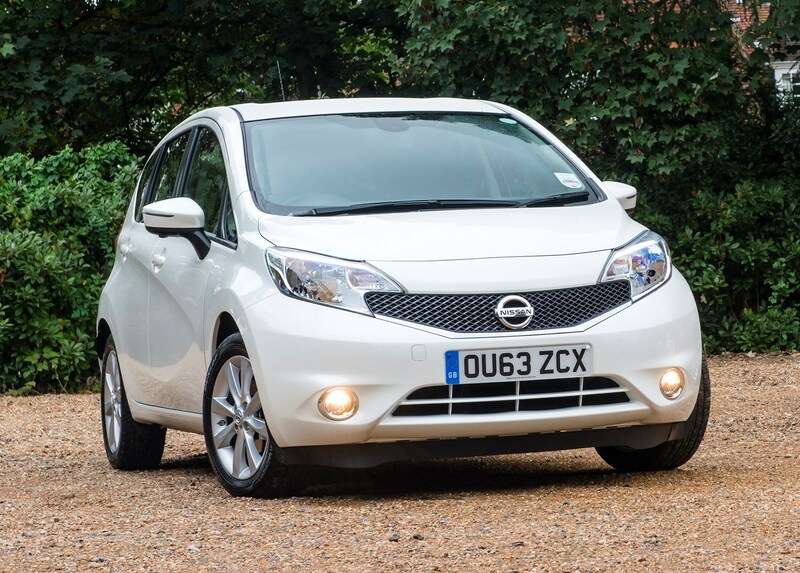 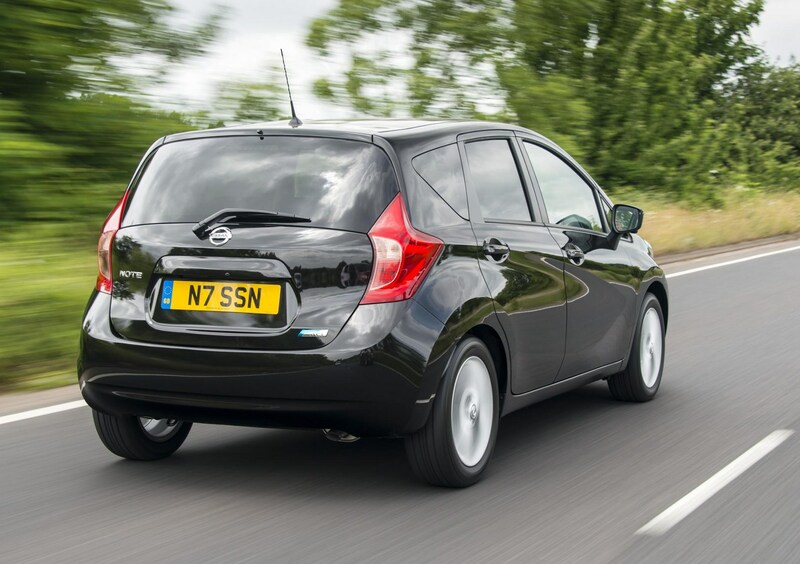 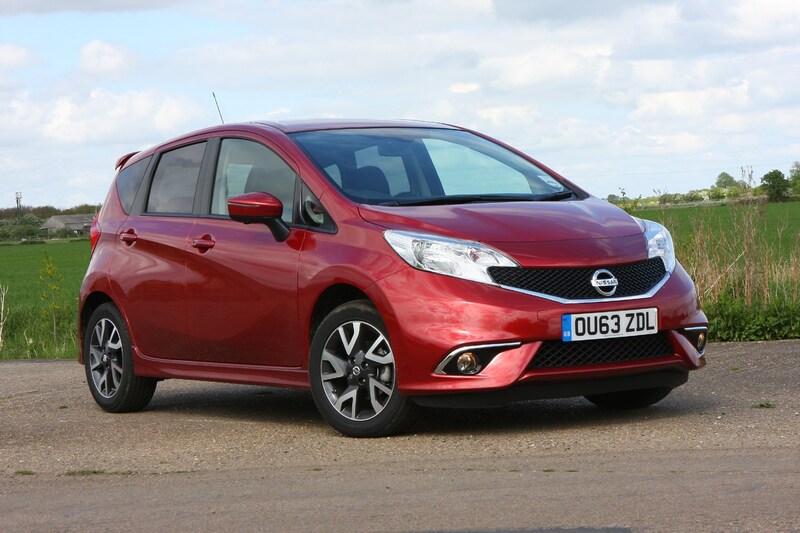 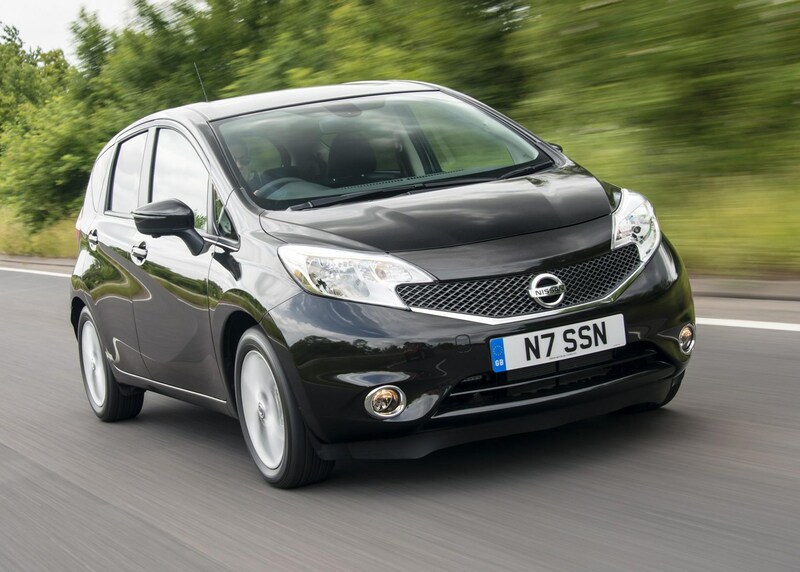 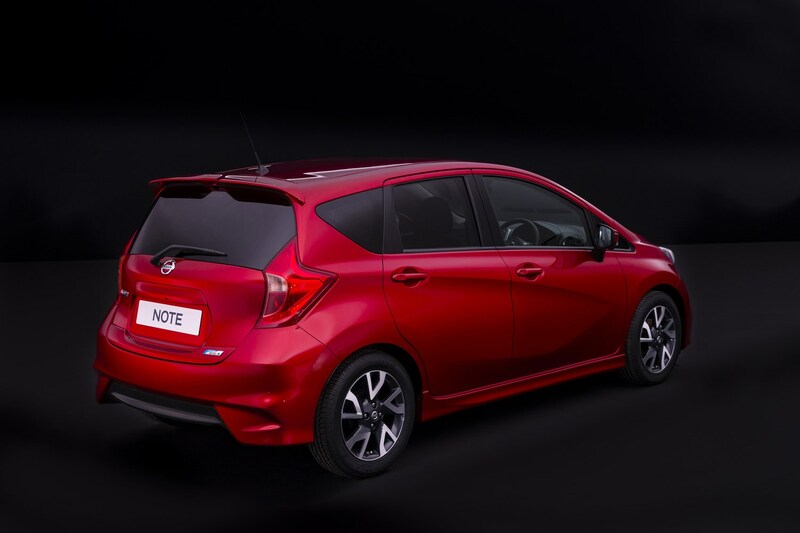 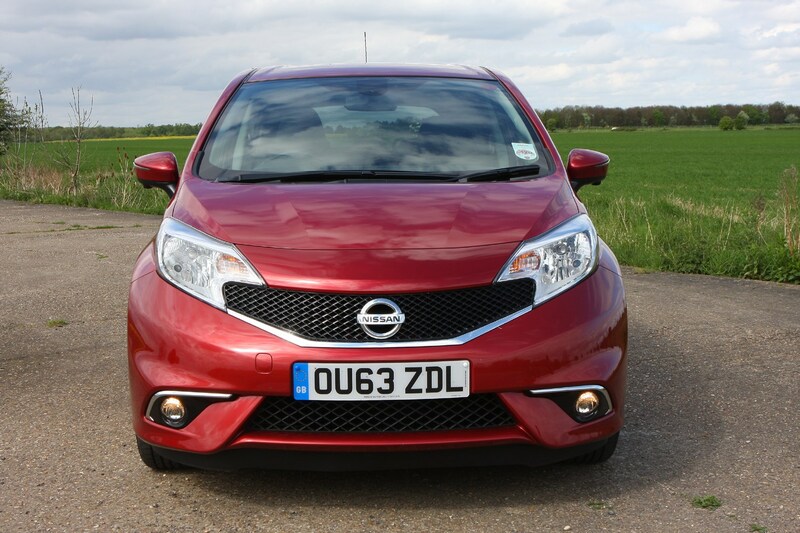 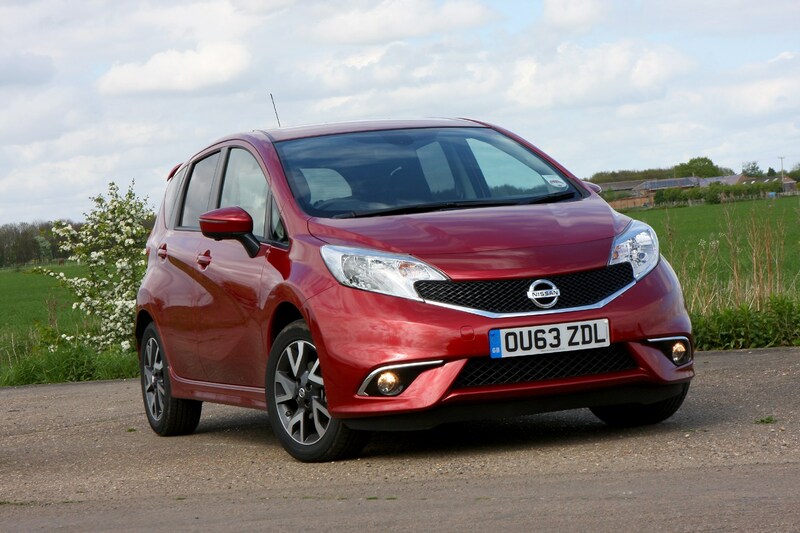 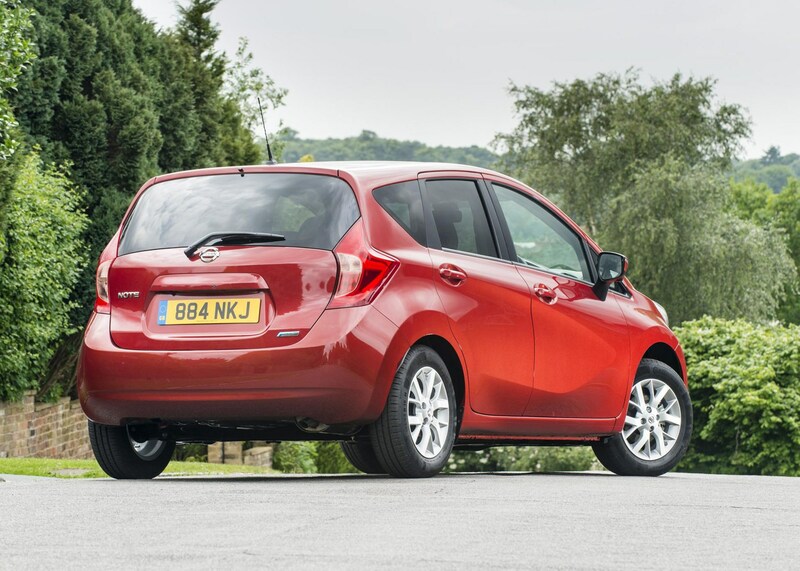 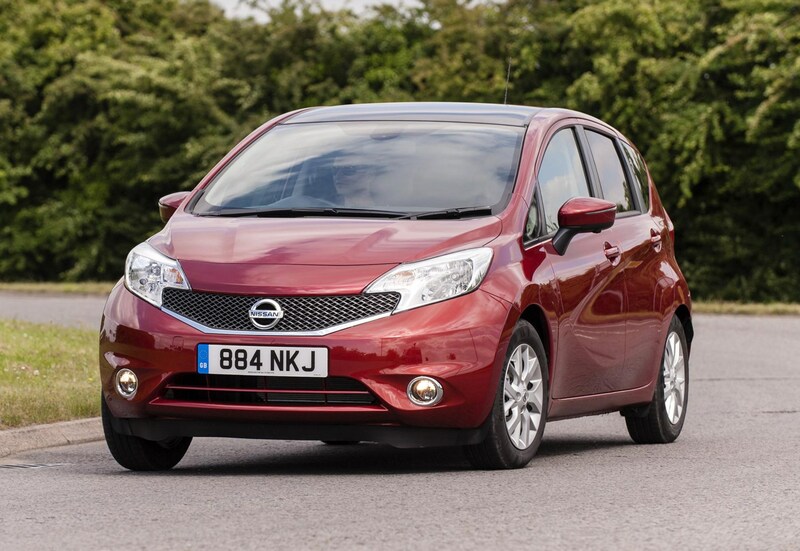 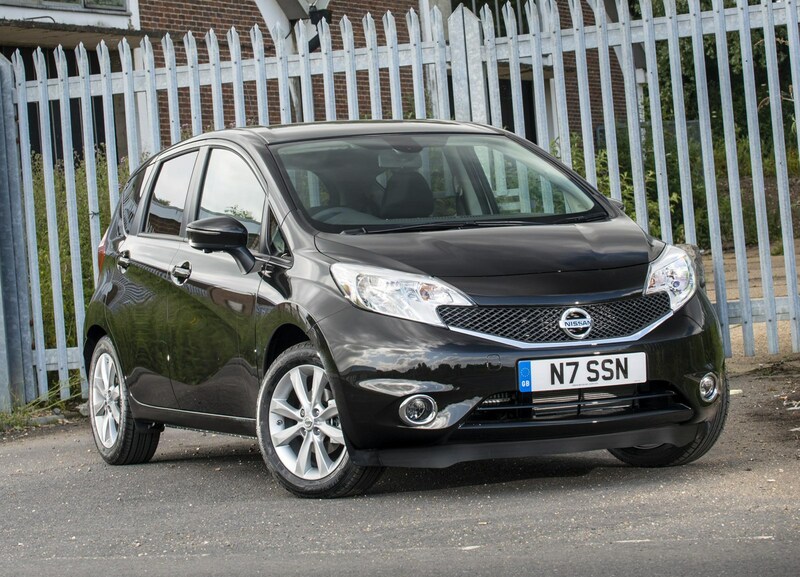 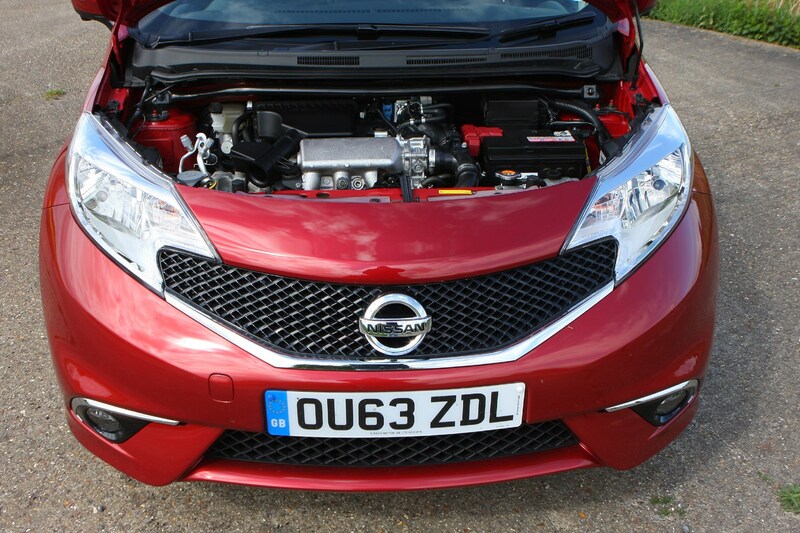 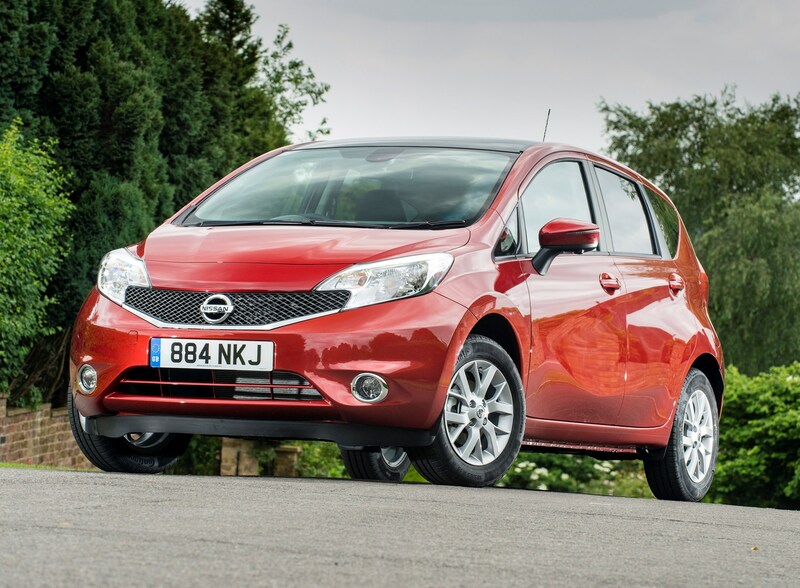 The Nissan Note has been a popular family car since its introduction in 2006 but this particular model with low CO2 emissions aimed to offer the car-buying public a lower-cost option. 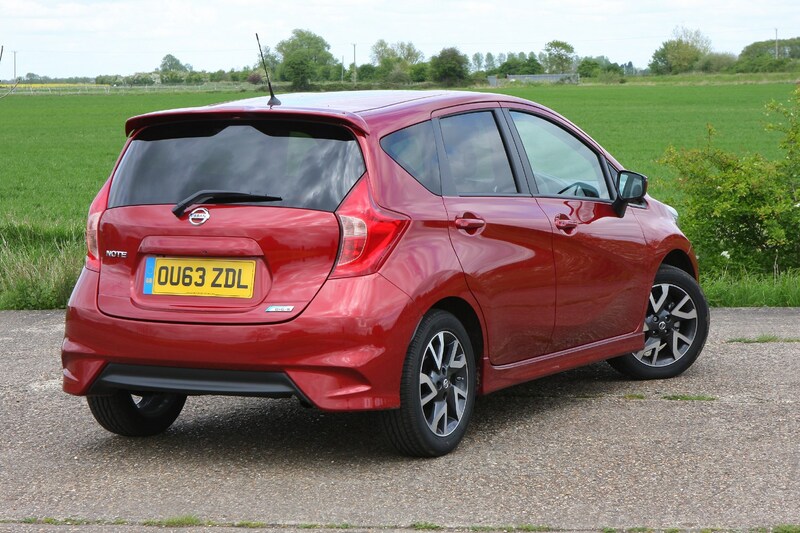 It's a direct rival to the Honda Jazz, but went off sale in 2017. 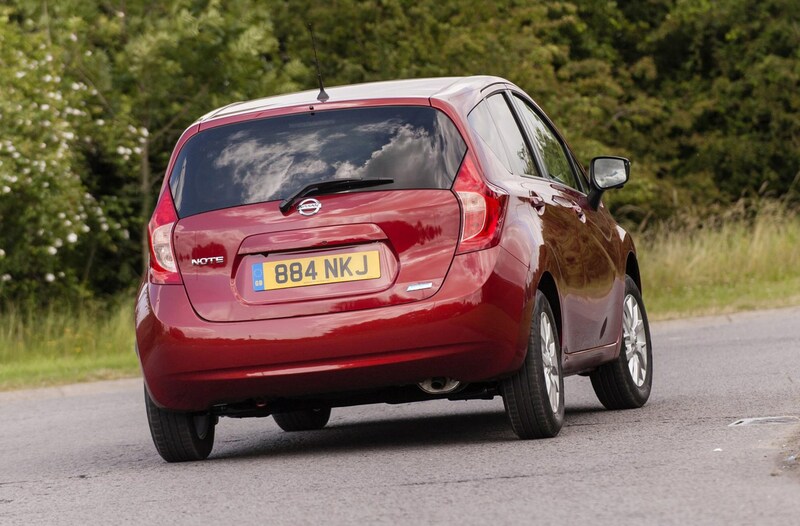 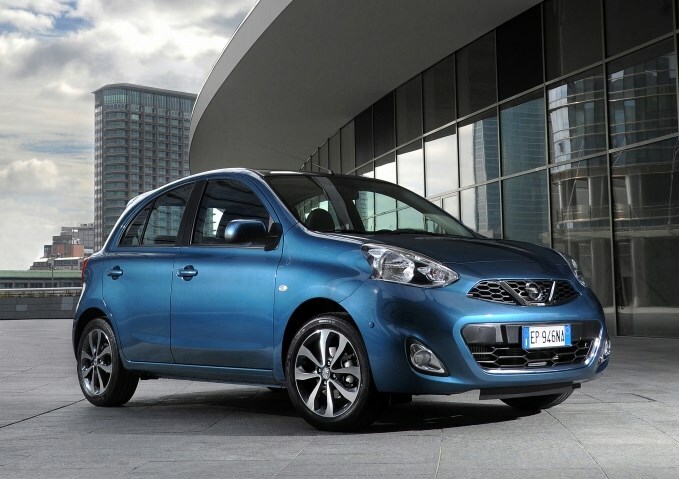 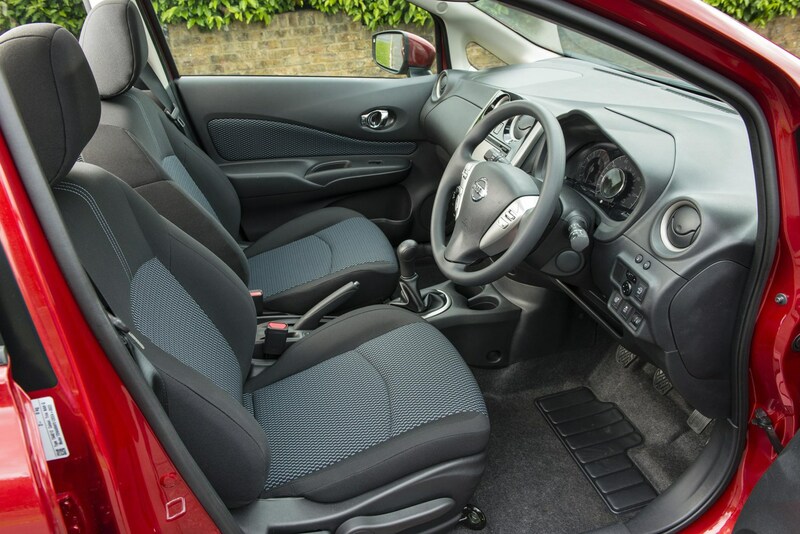 Manufactured in Sunderland, this five-door hatchback was based on Nissan's small car, the Micra. 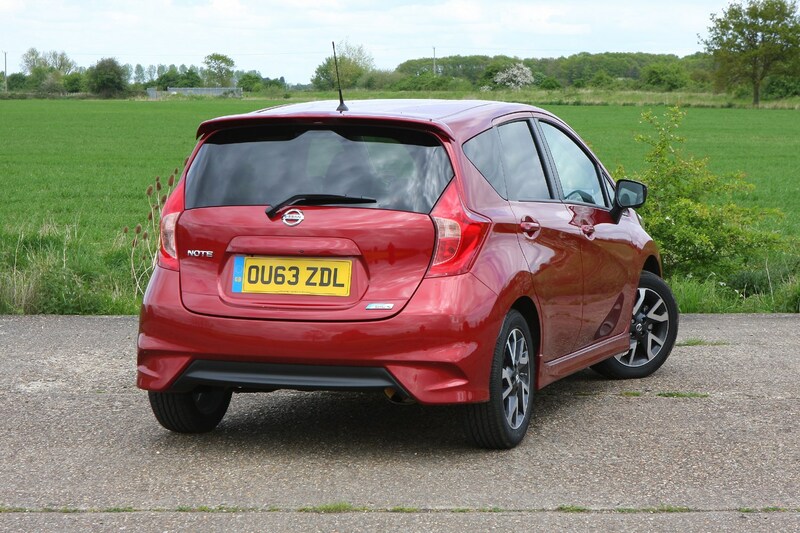 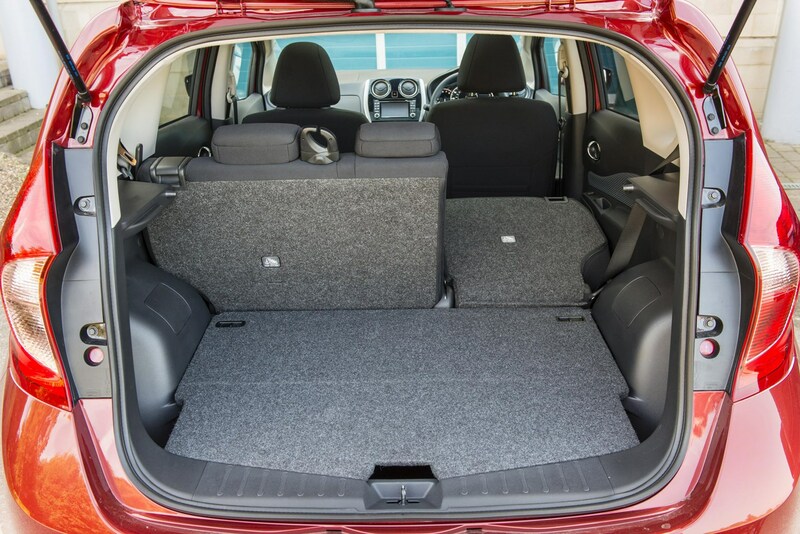 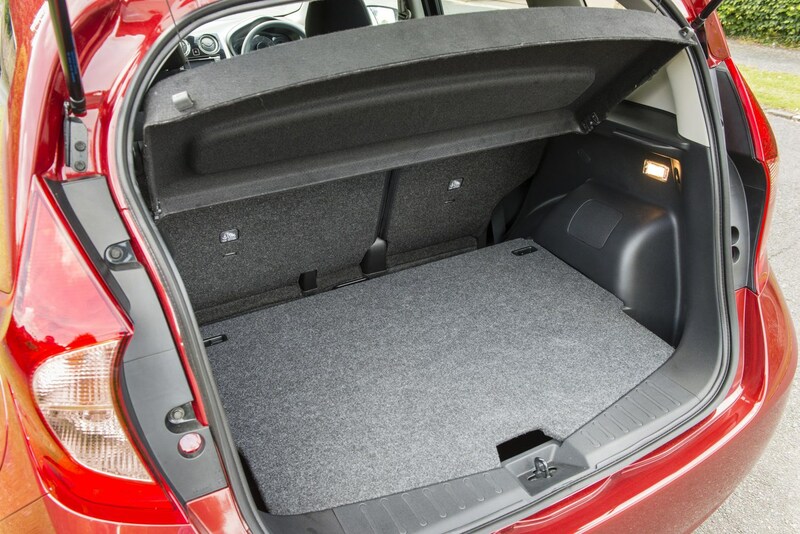 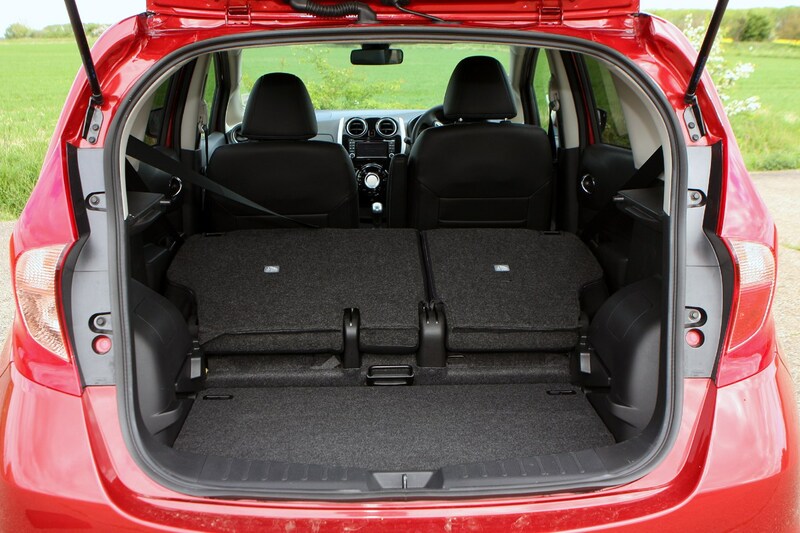 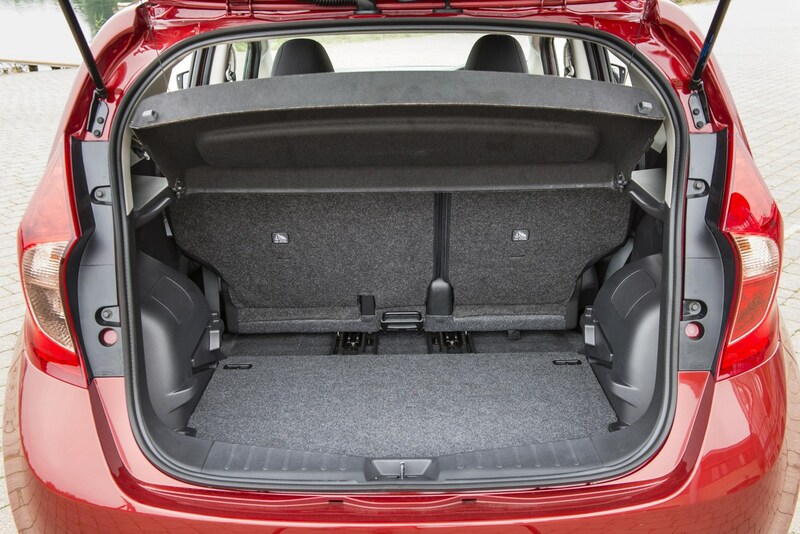 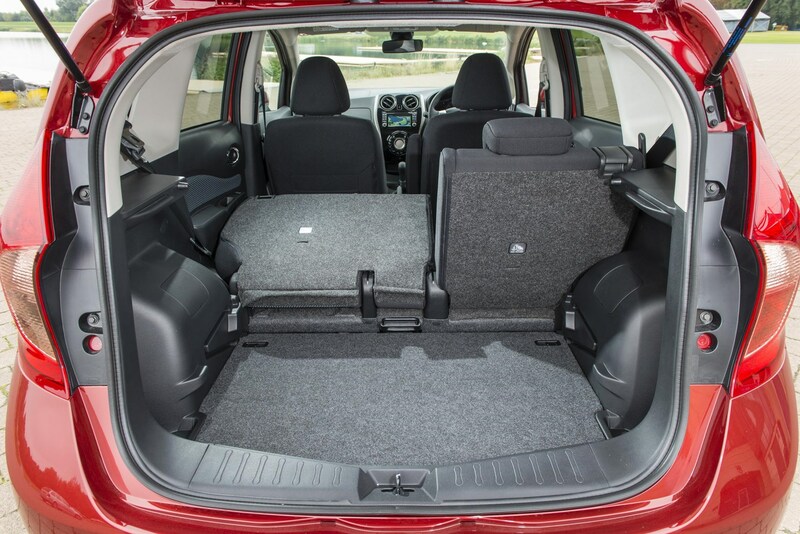 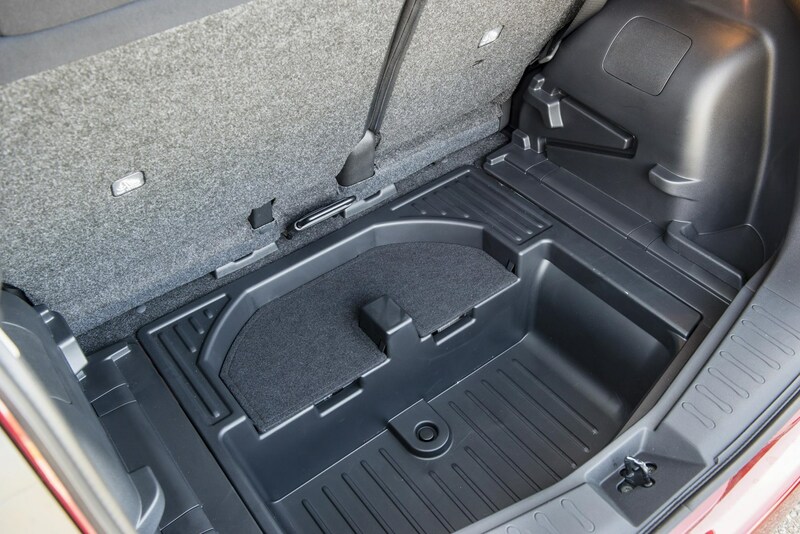 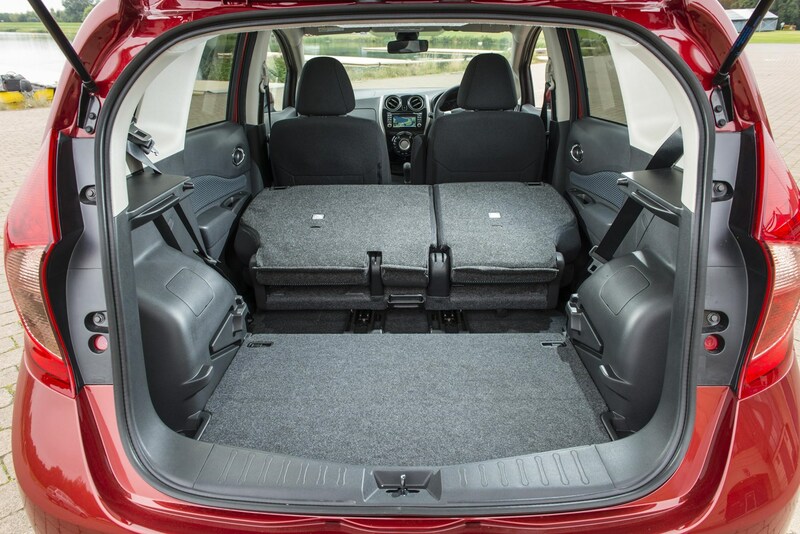 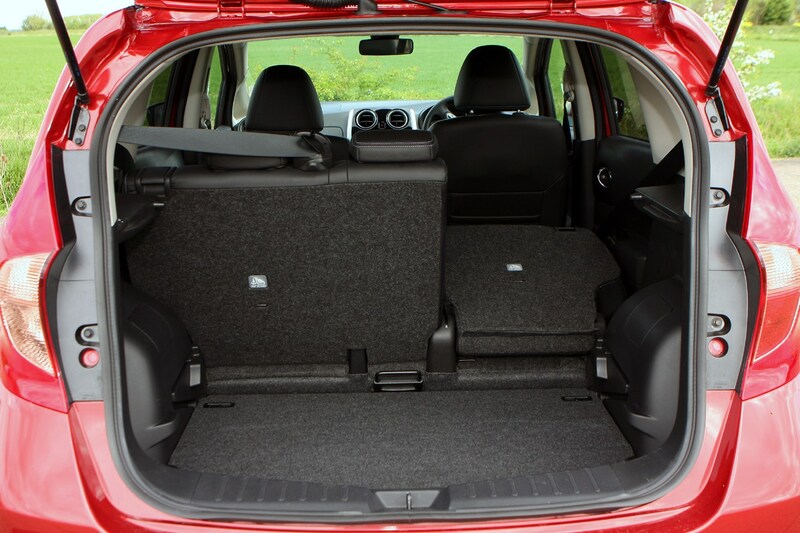 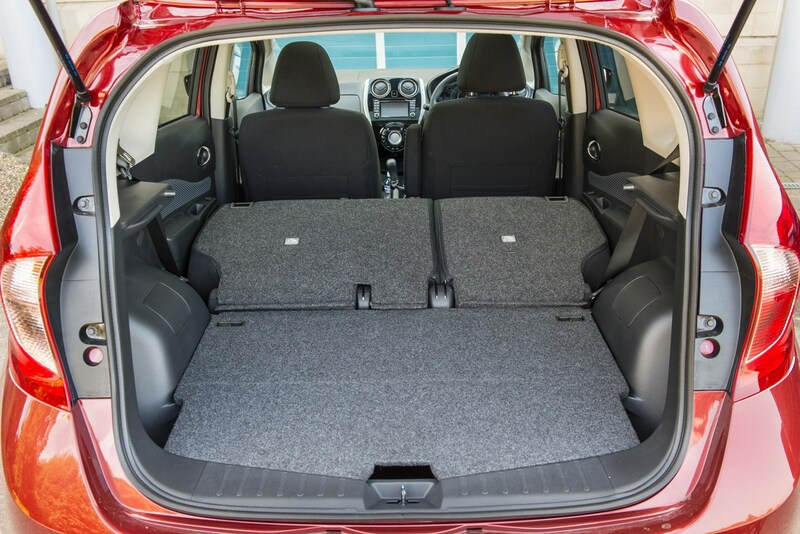 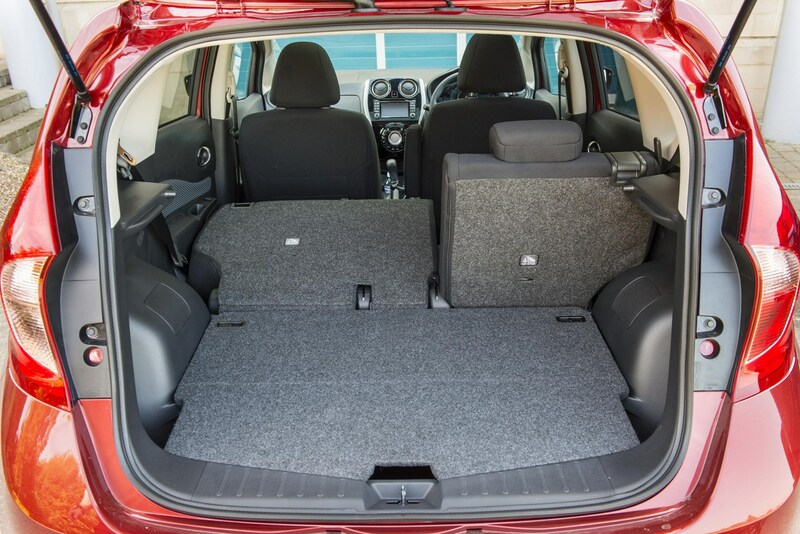 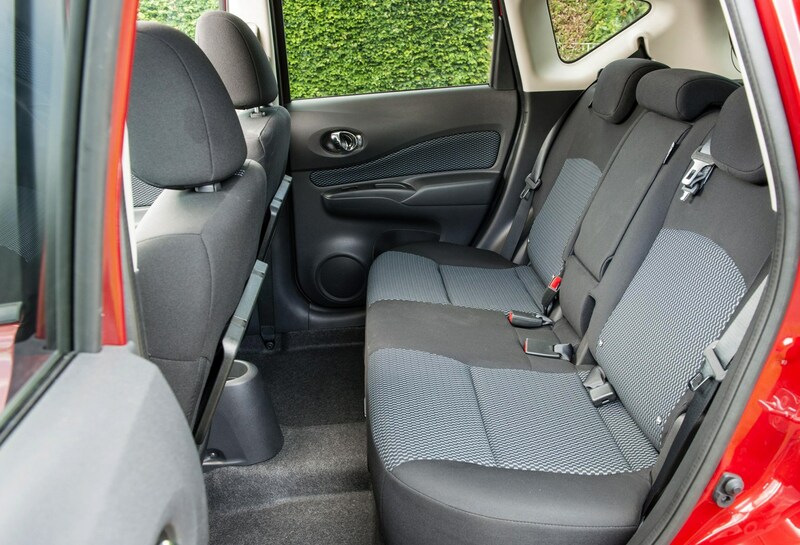 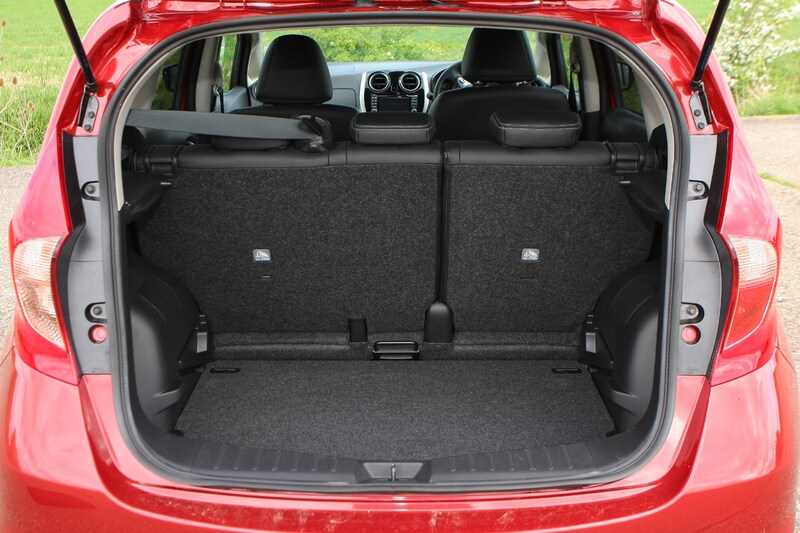 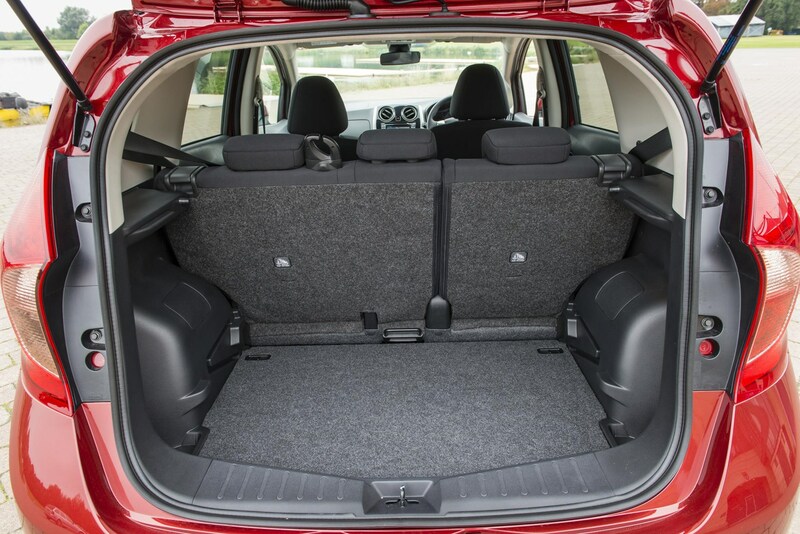 And though the firm claims it moves away from the traditional mini MPV sector and is aimed squarely at the Ford Fiesta, it retains the previous car’s impressive levels of practicality. 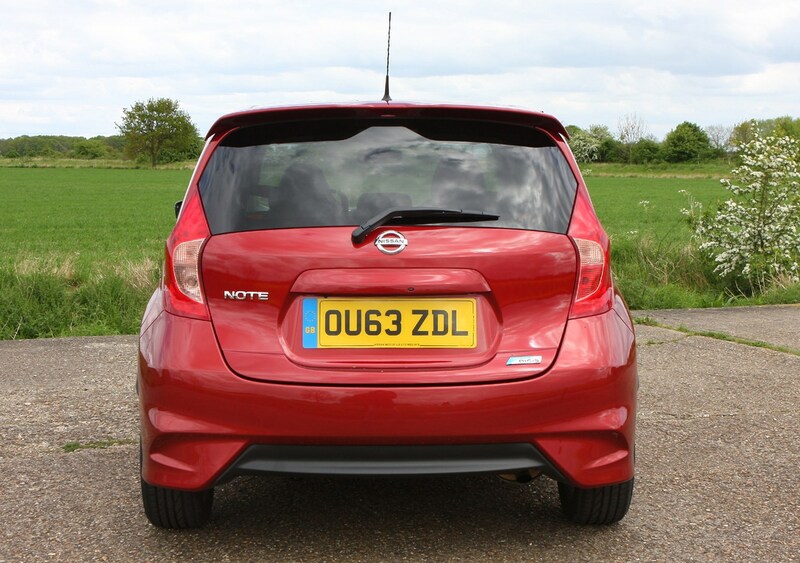 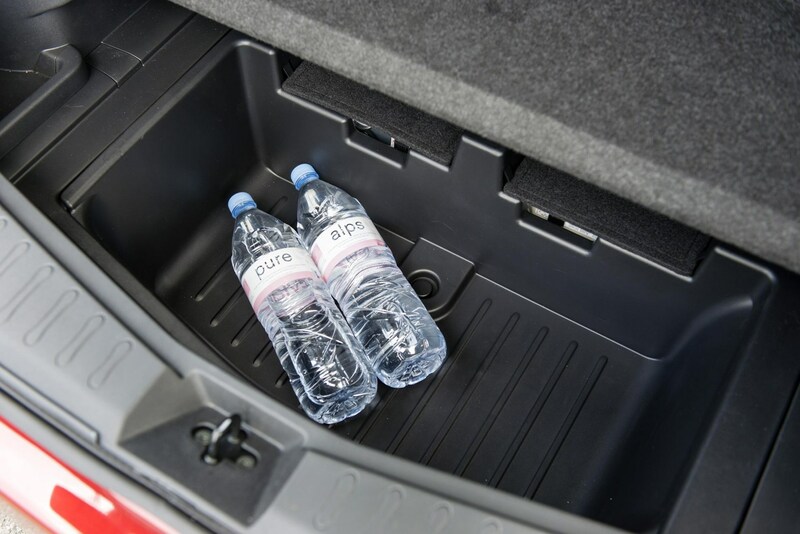 Nissan has fitted the Note with a range of safety features normally only found on premium cars and branded it as a 'Safety Shield'. 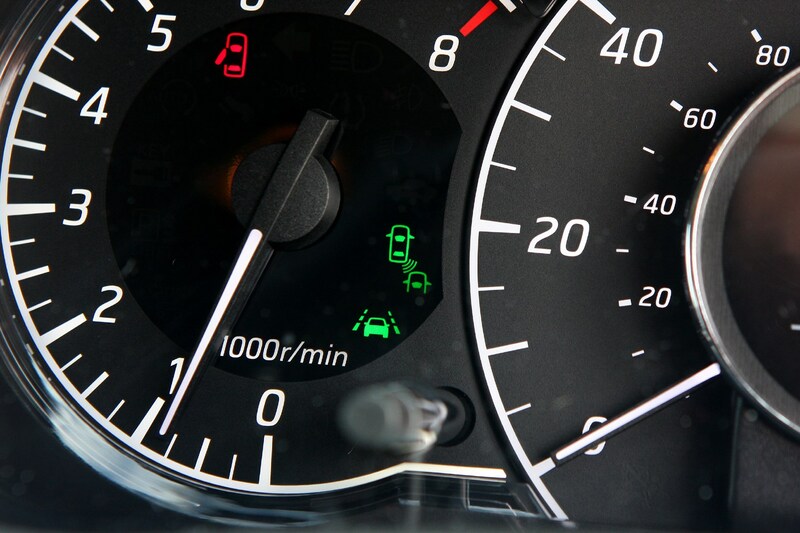 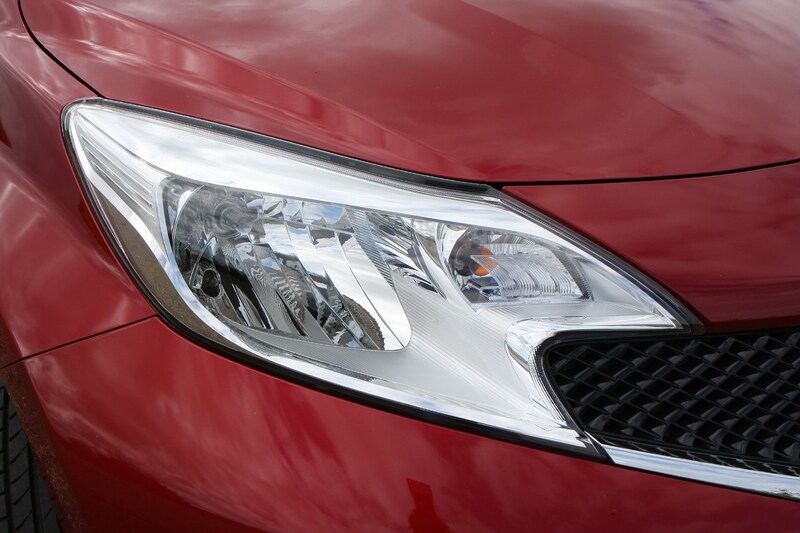 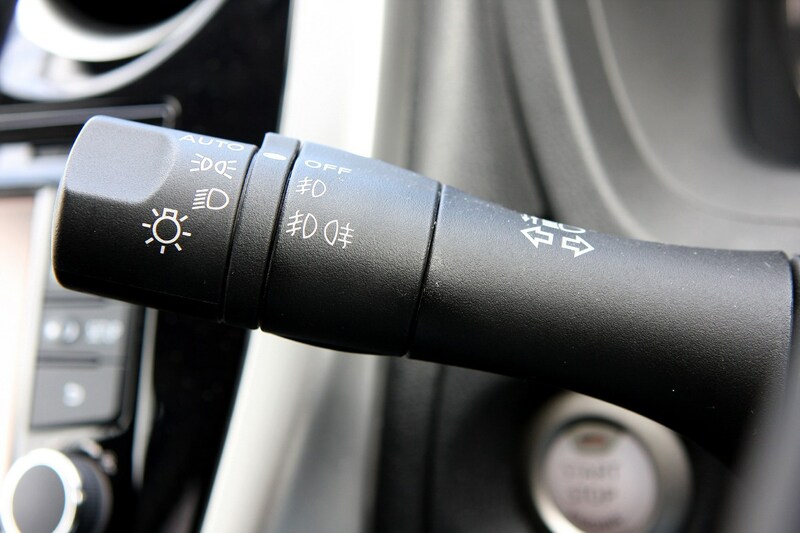 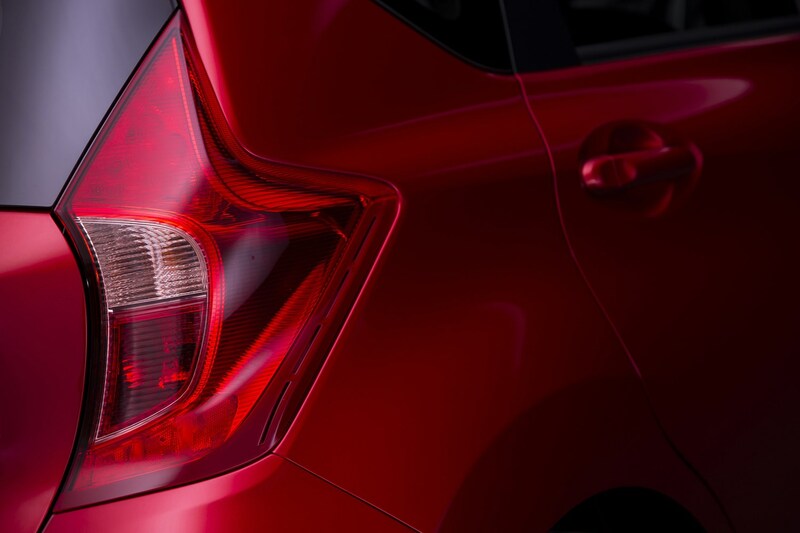 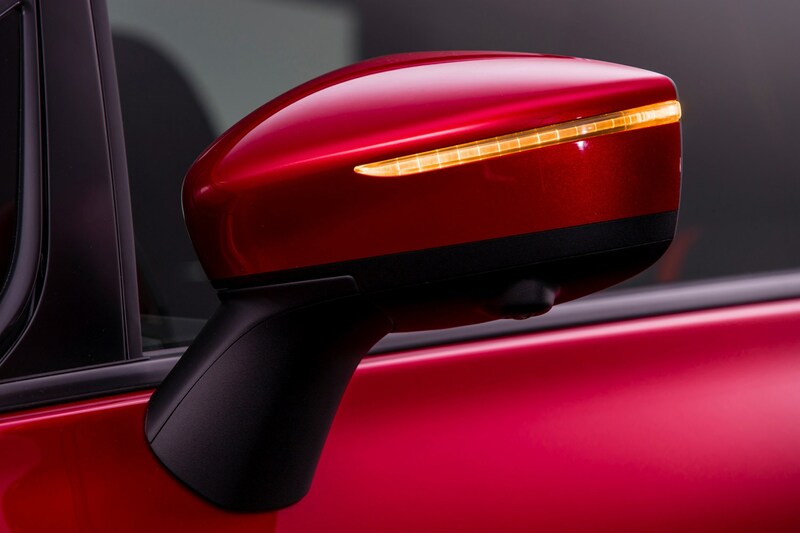 There’s a Blind Spot Warning system, Lane Departure Warning and an advanced Moving Object Detection system that will alert drivers to pedestrians that are in the path of travel. 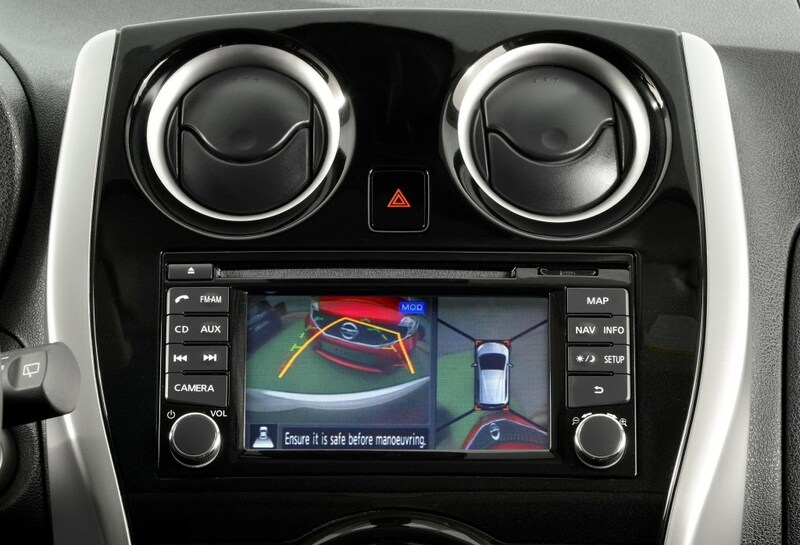 All three systems operate using data from the rear wide-view camera, which delivers a clear image no matter what the weather thanks to an in-built wash and blow dry function. 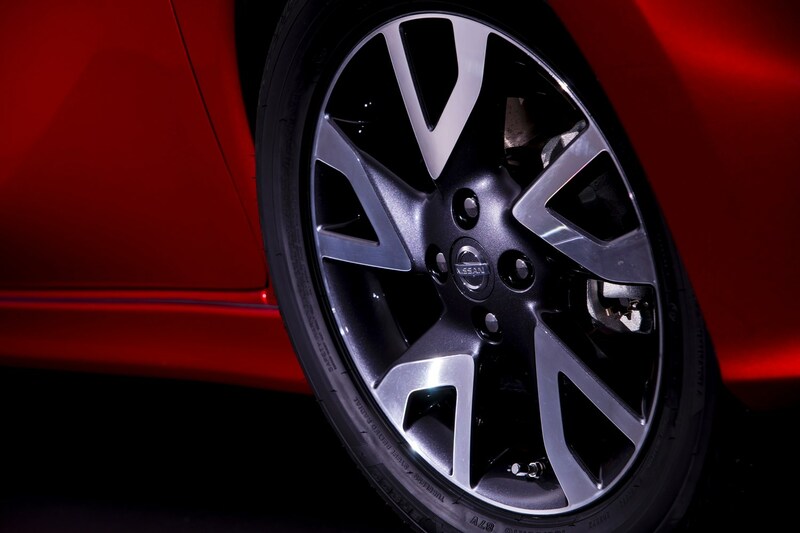 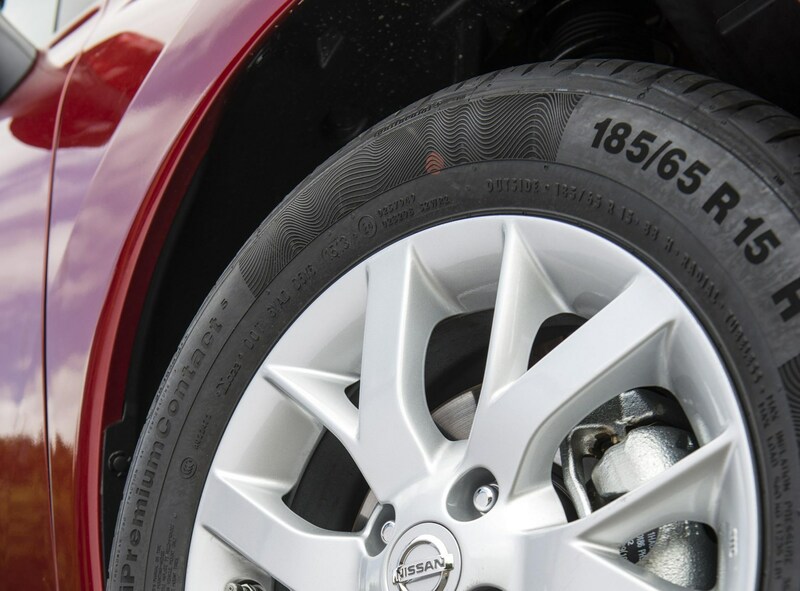 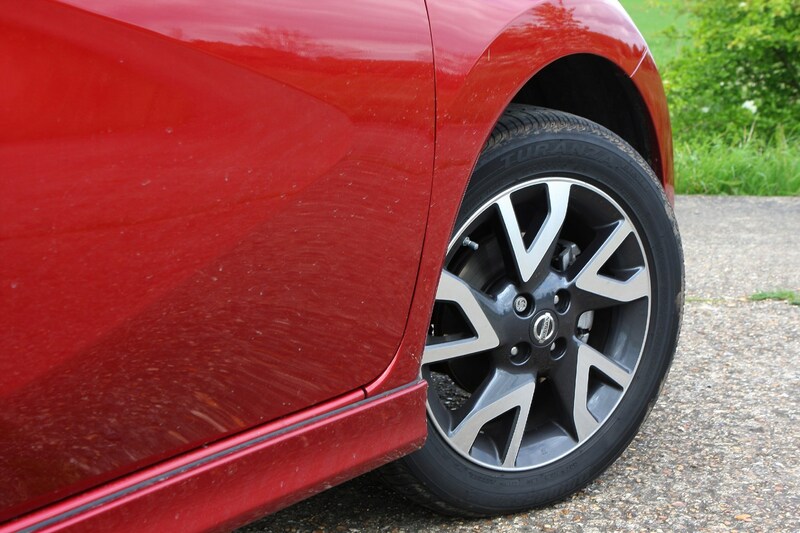 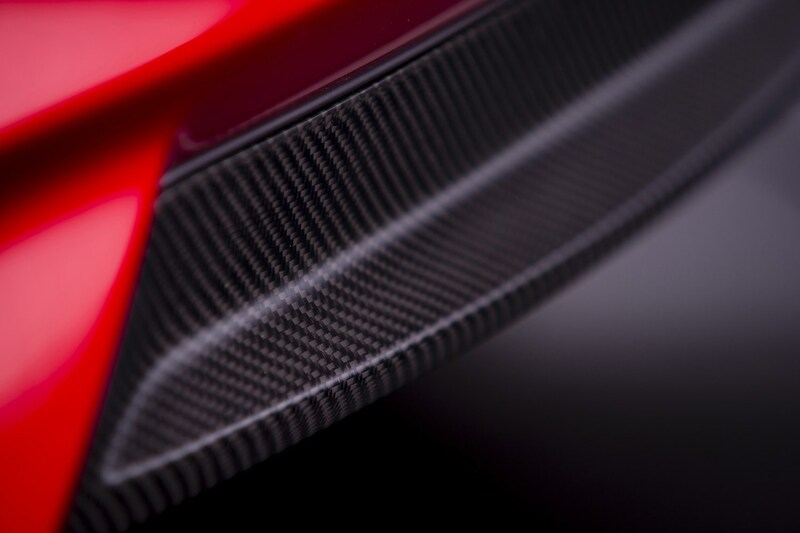 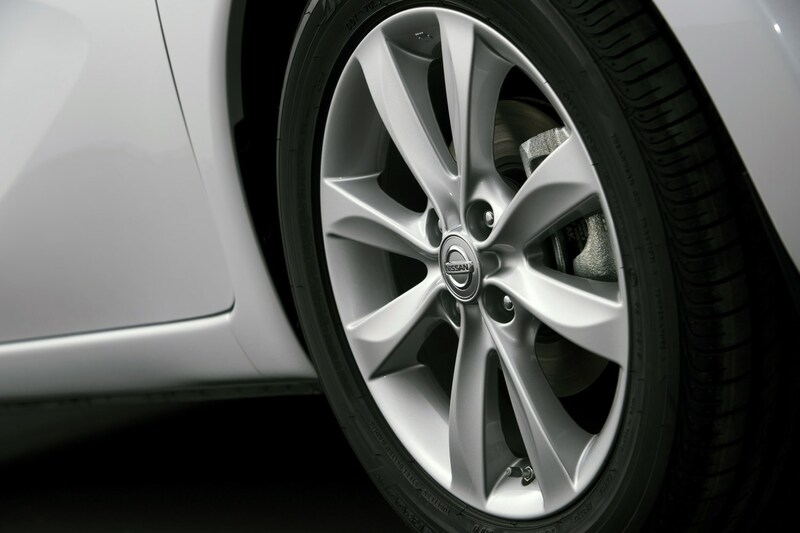 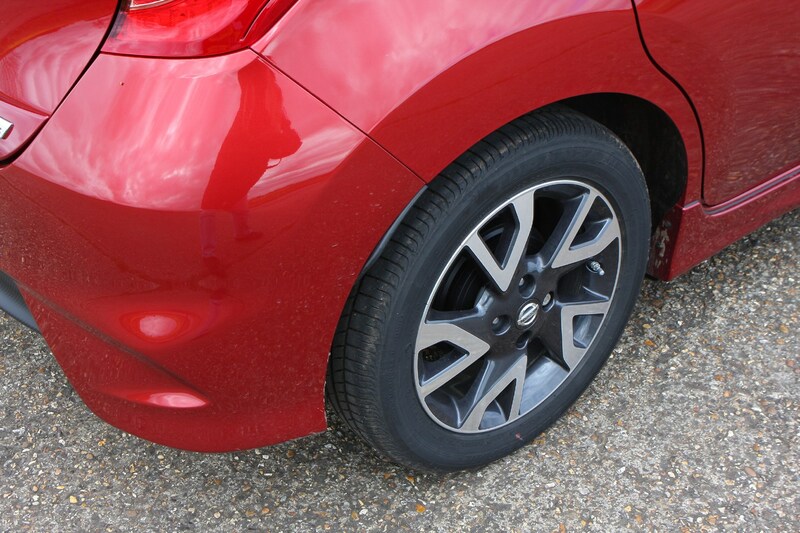 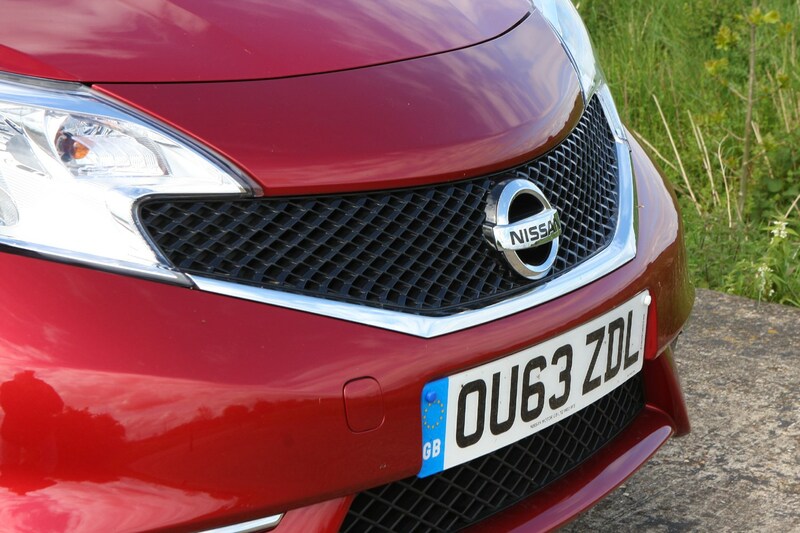 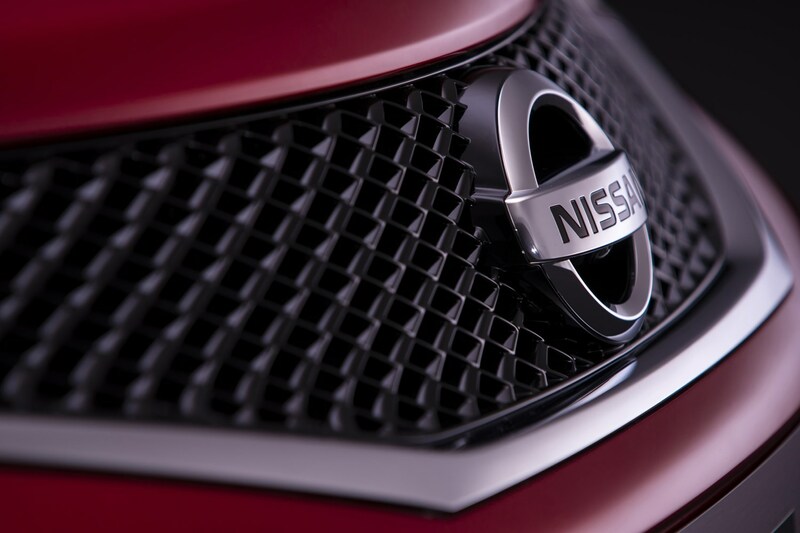 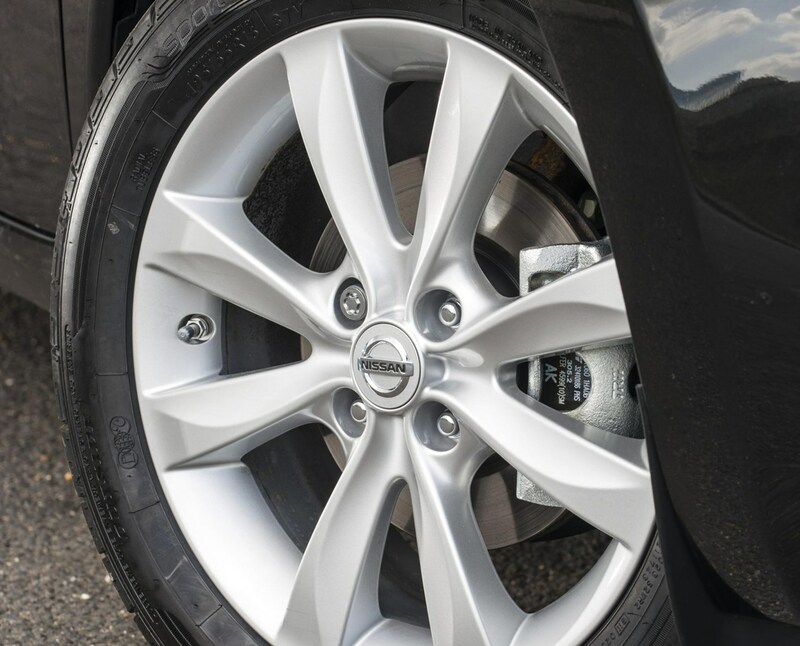 Nissan says the Safety Shield should help to minimise the risk of accidental bumps or scrapes and also allows drivers to feel safer and more secure. 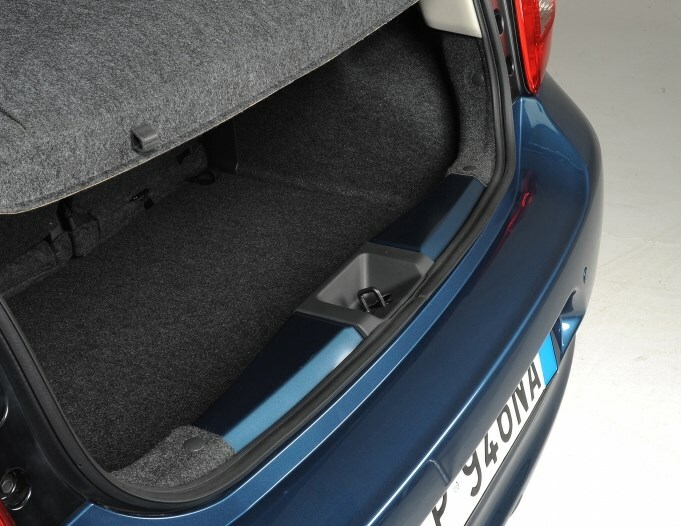 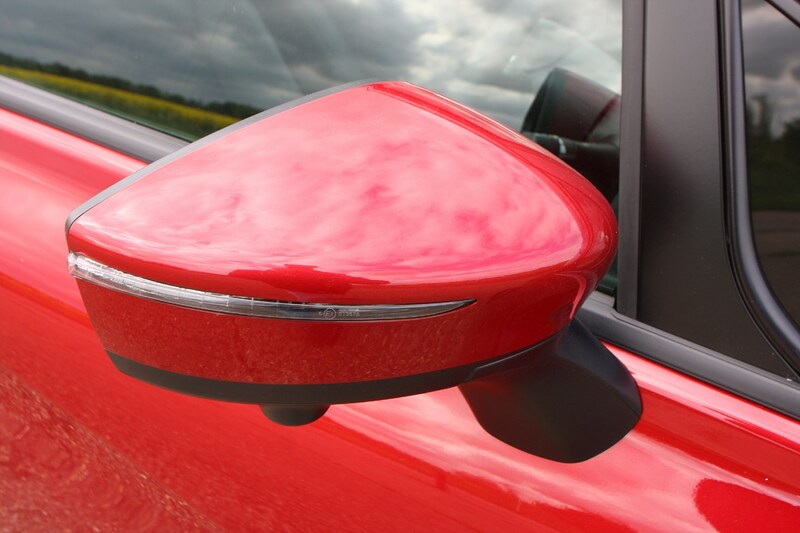 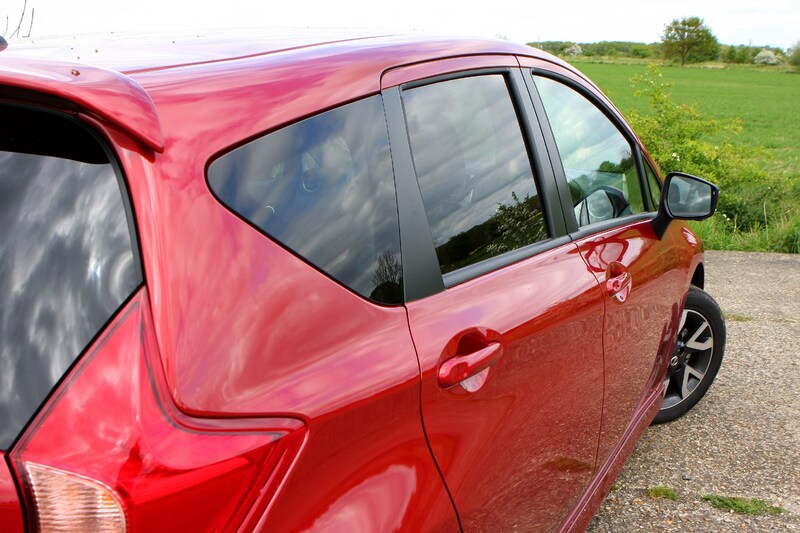 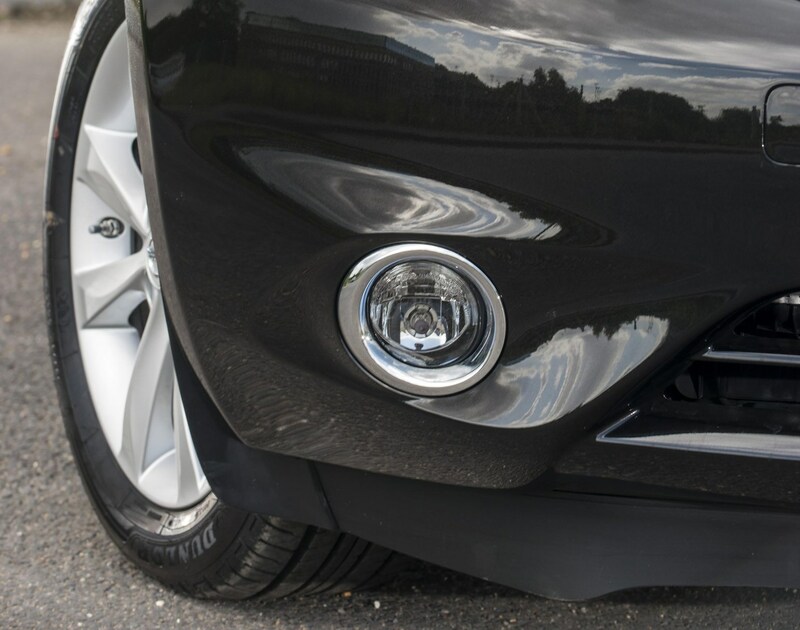 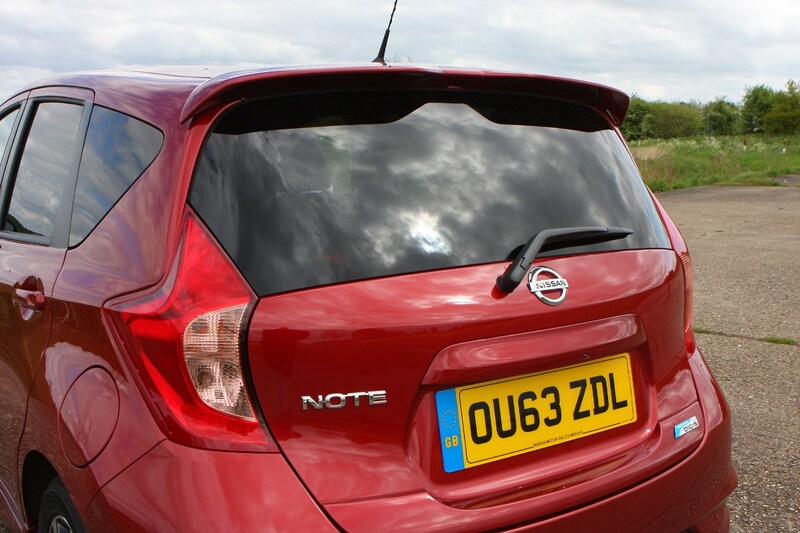 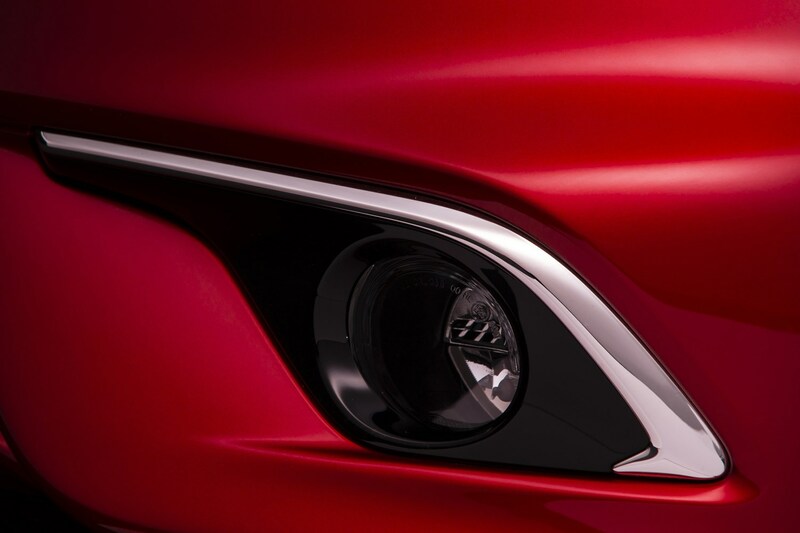 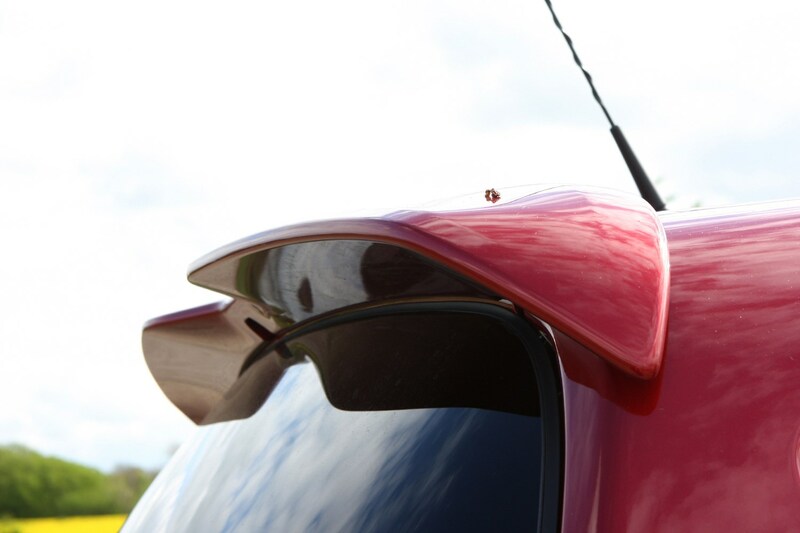 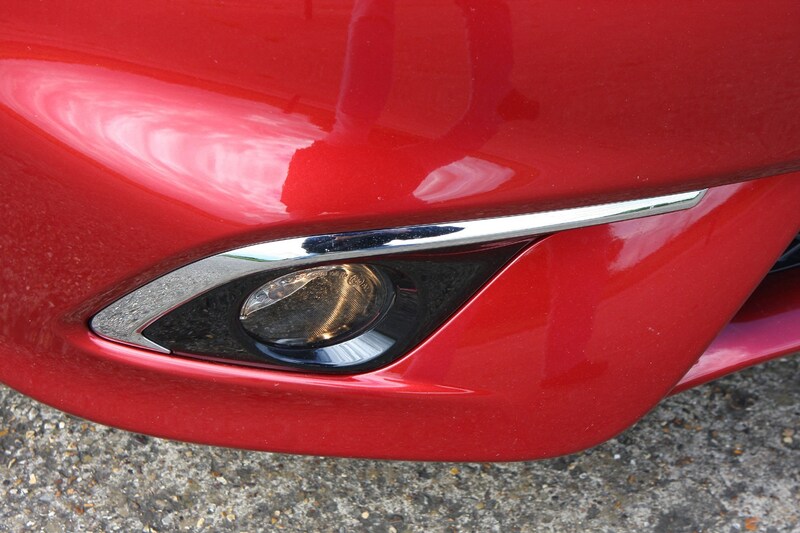 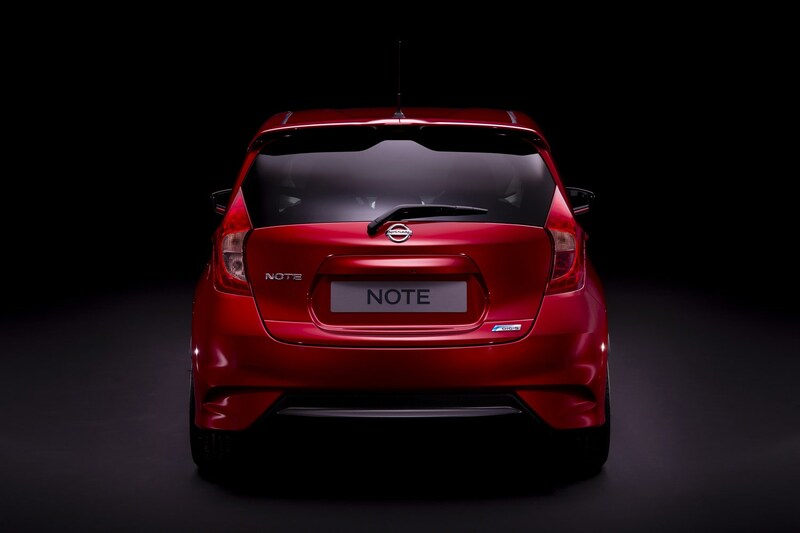 The new Note will be the first small car to offer Around View Monitor (AVM) – Nissan’s multi-camera parking aid that gives a ‘helicopter view’ for clear visibility around the car. 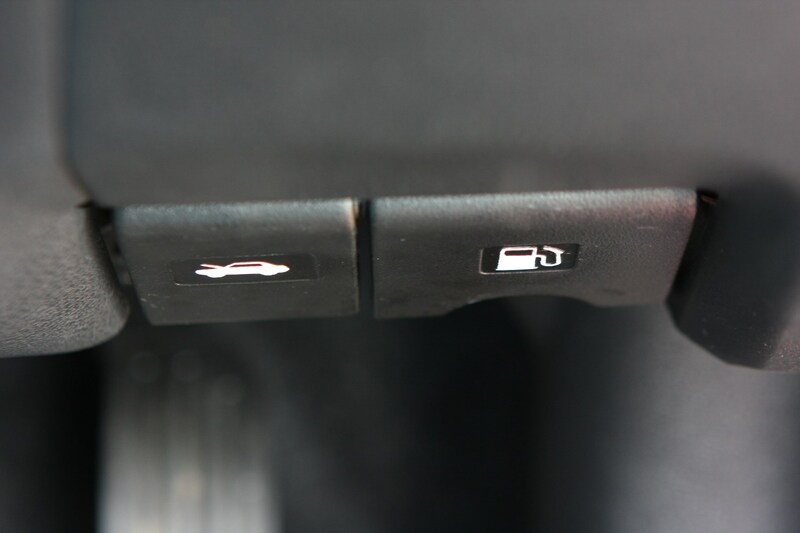 The idea is to make parking manoeuvres simpler. 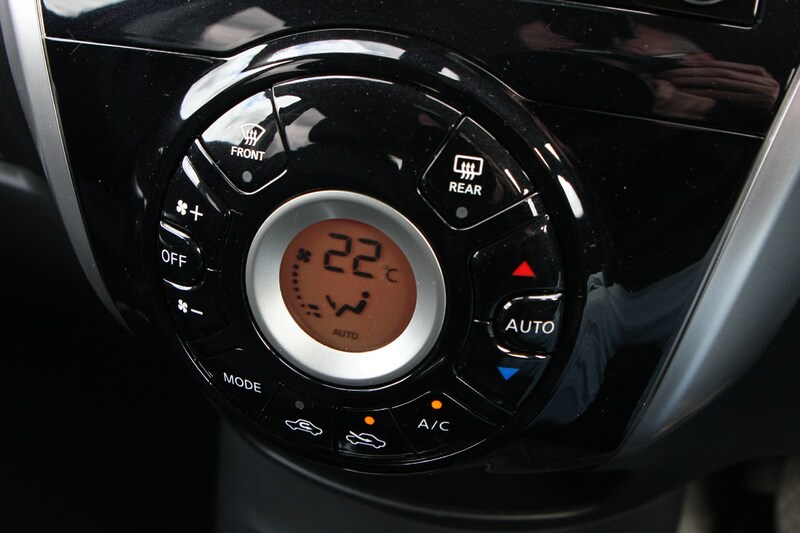 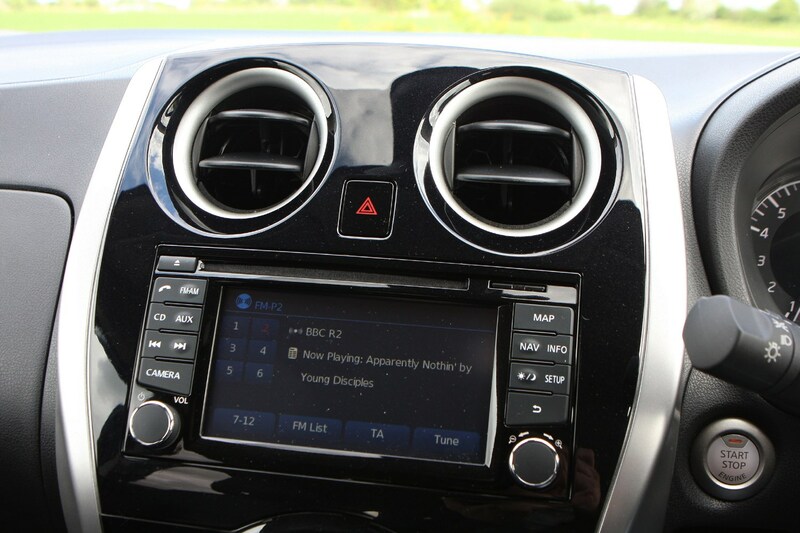 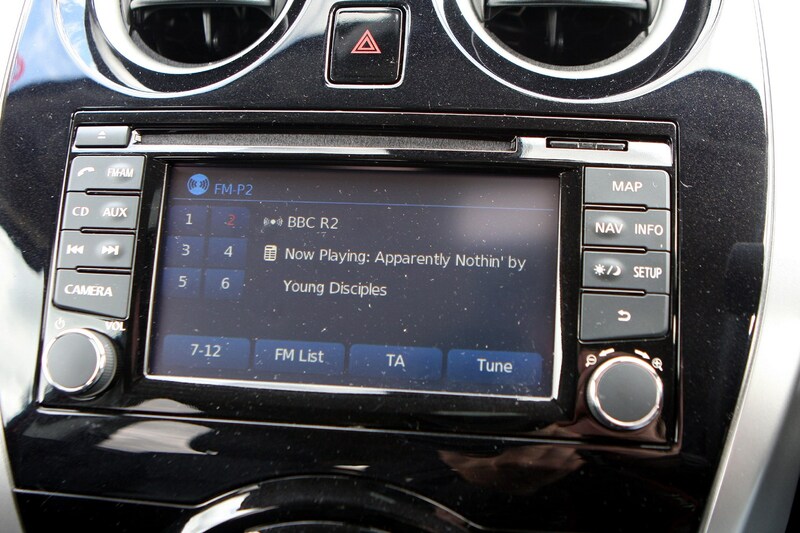 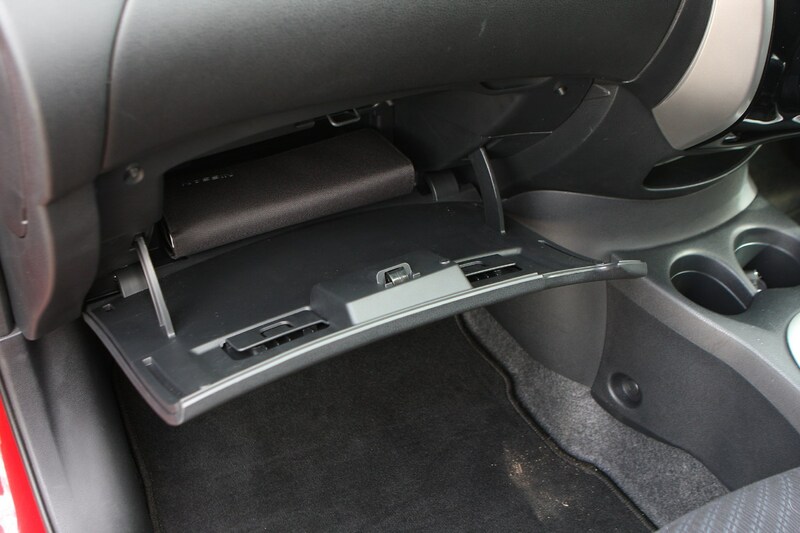 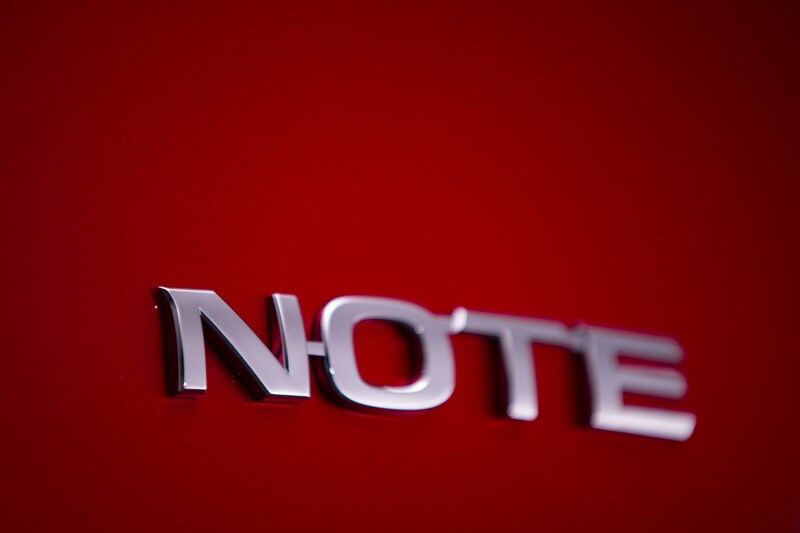 Additionally, the new Note gets the latest version of the Nissan Connect satellite navigation system. 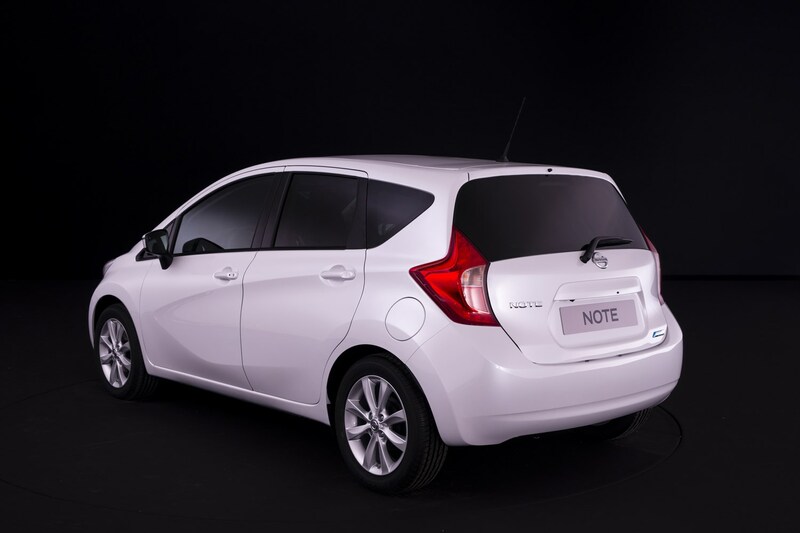 The Note offers a choice of three engines and stop/start is standard delivering CO2 emissions as low as 95g/km. 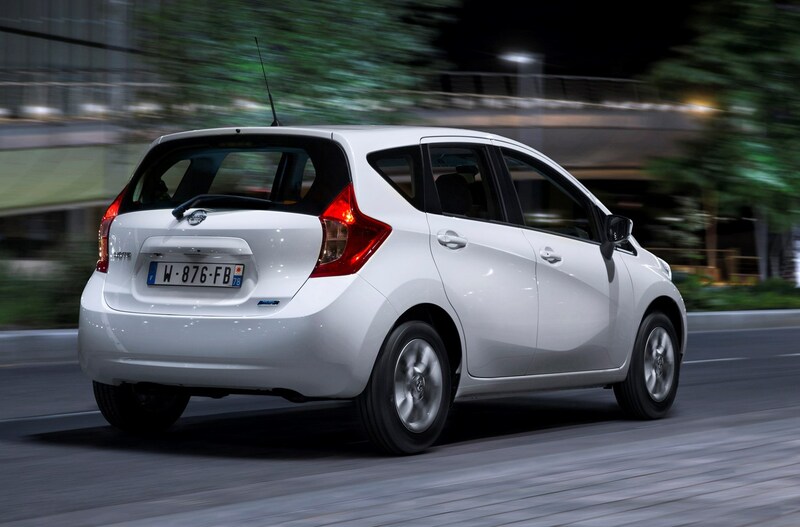 The entry-level 1.2-litre delivers 80hp at 6,000 rpm and 110Nm at 4,000 rpm. 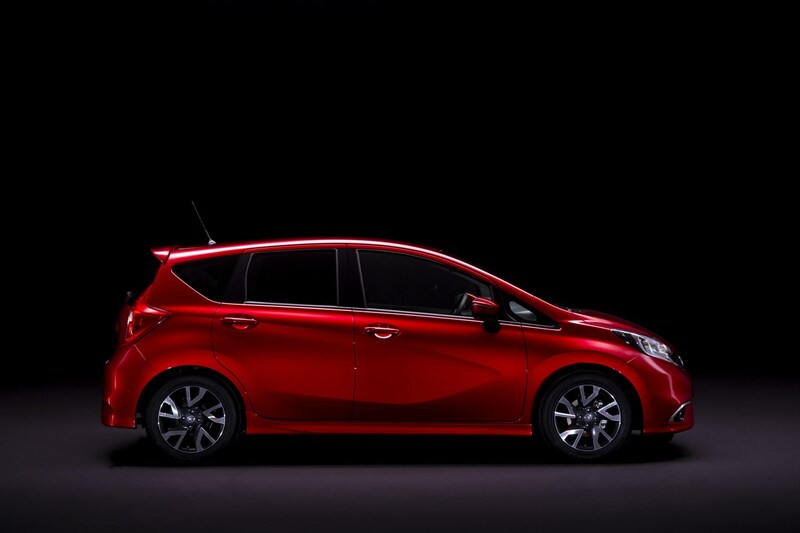 This translates to combined fuel economy of 60.1mpg, while CO2 emissions are 109g/km. 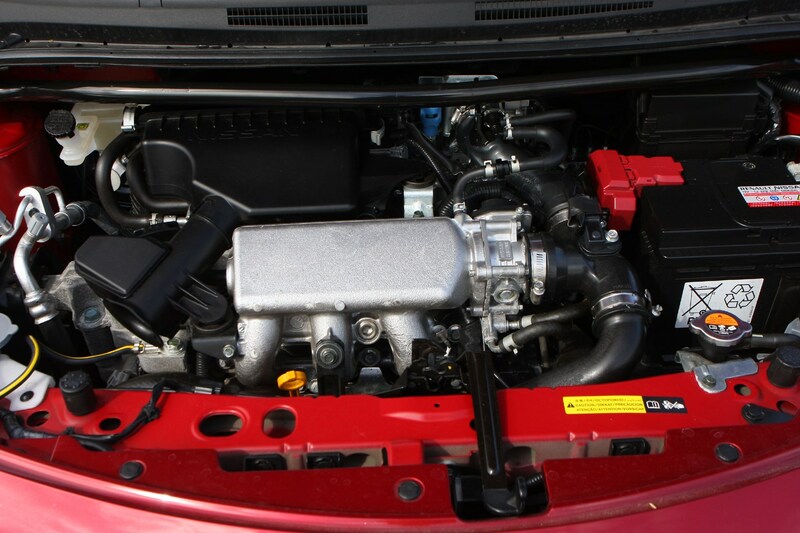 The 1.2-litre DIG-S generates 99hp at 5,600 rpm and 142Nm of torque at 4,400 rpm. 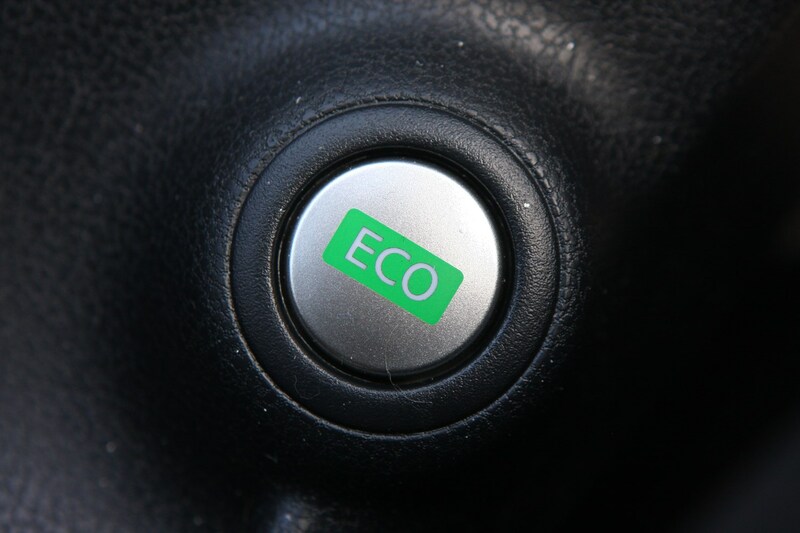 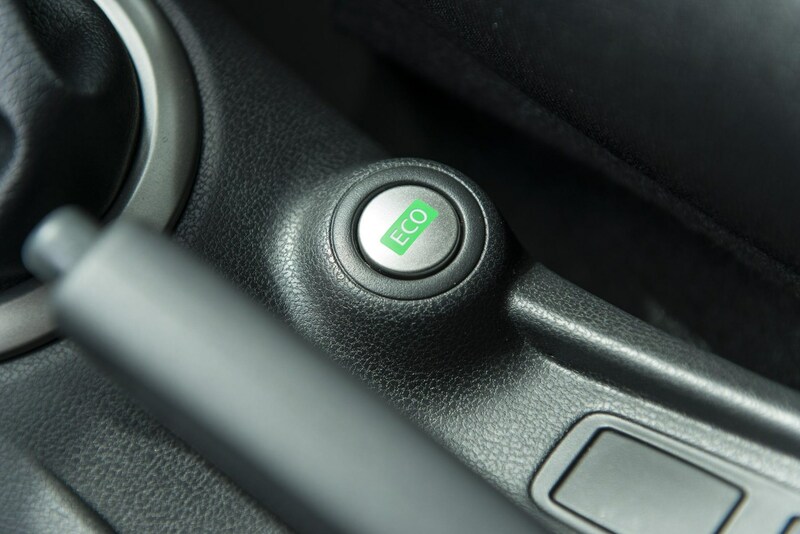 CO2 emissions are 99g/km with the manual gearbox (119g/km with CVT transmission). 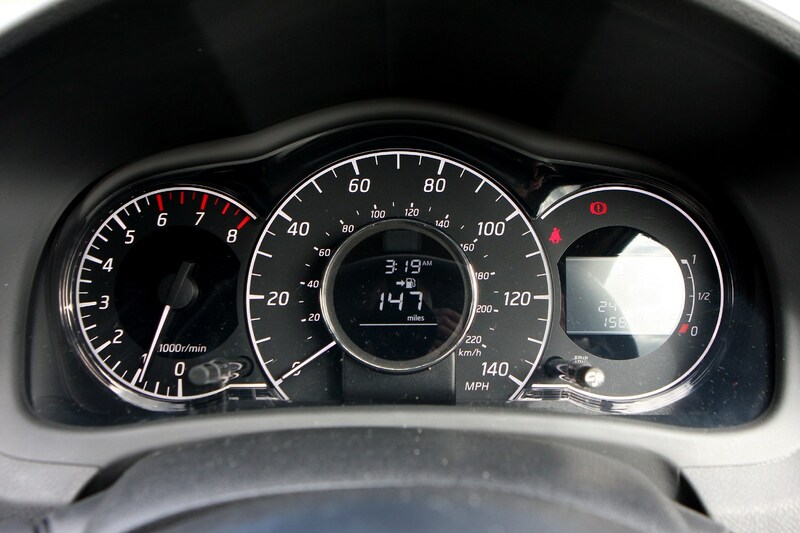 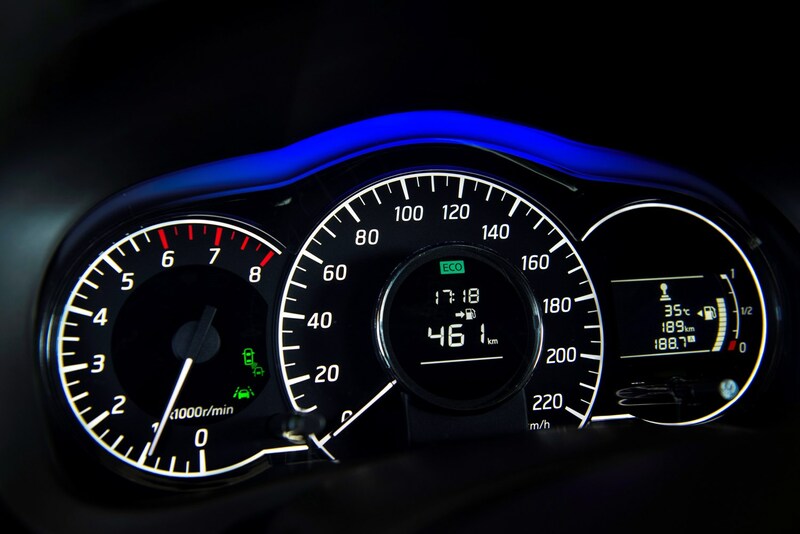 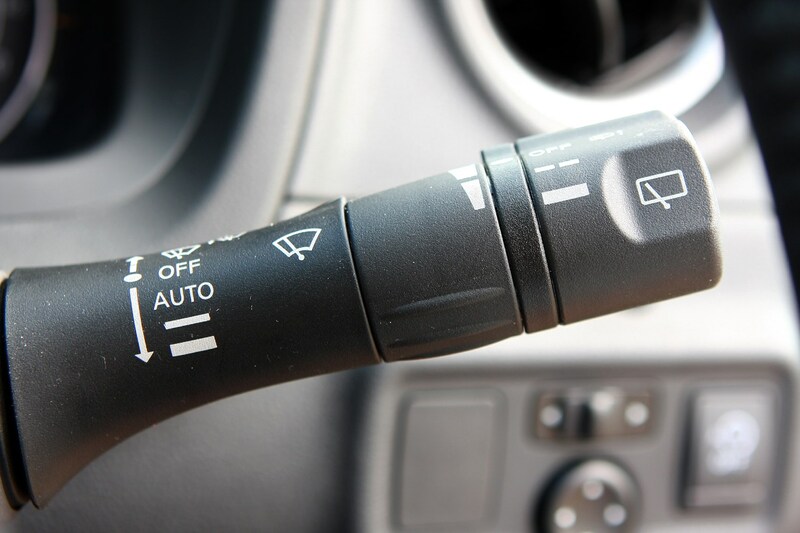 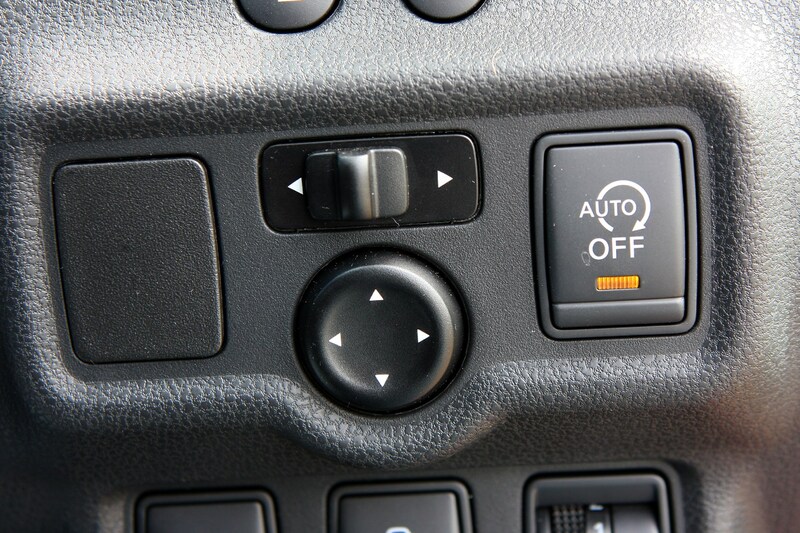 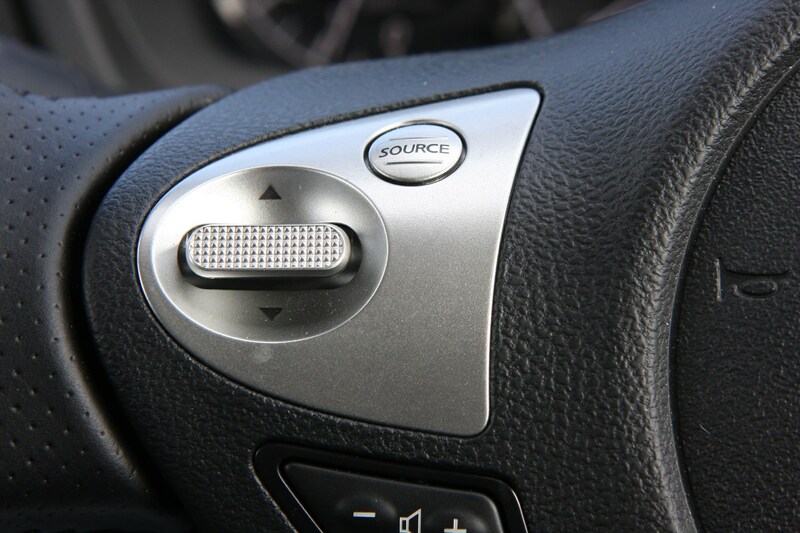 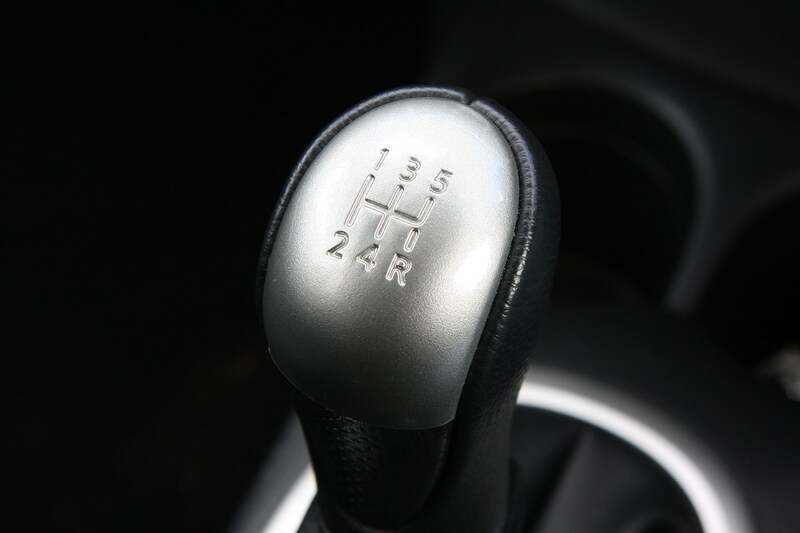 Average claimed fuel consumption is 65.7mpg (with manual transmission). 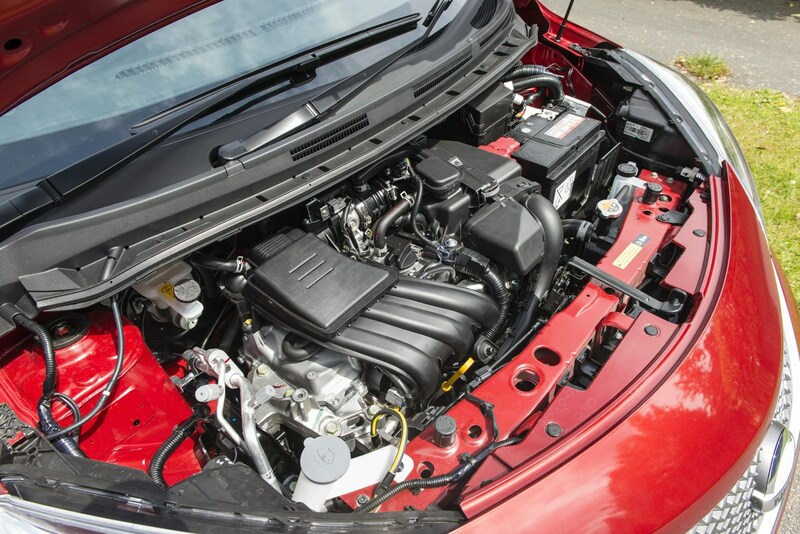 Completing the Note engine range is a newly engineered four-cylinder 1.5-litre turbo diesel. 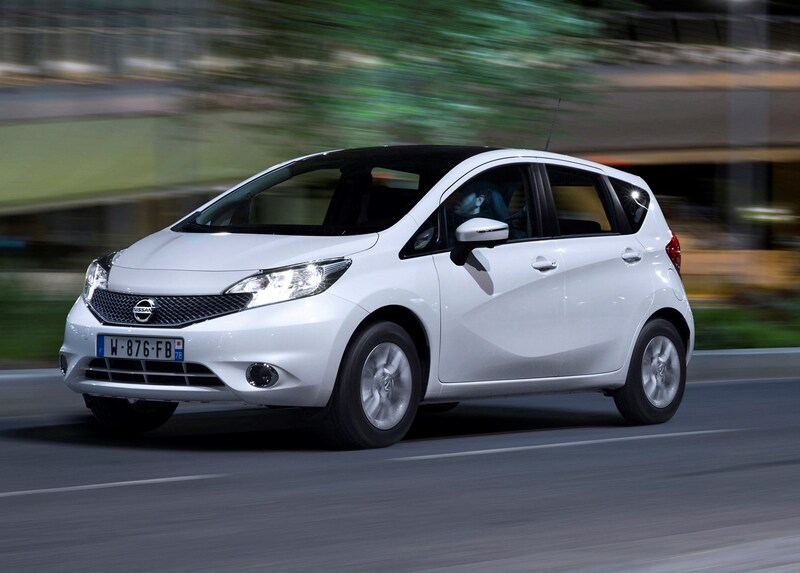 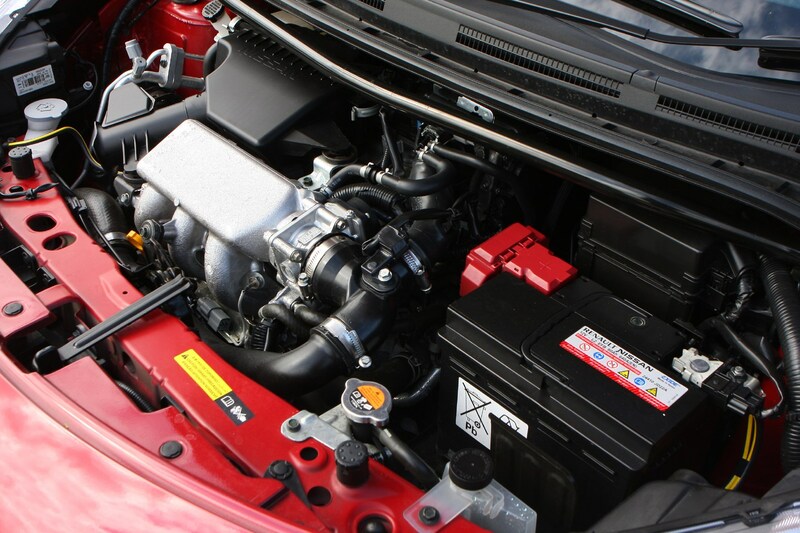 This 90hp unit emits 95g/km of CO2 and offers a combined fuel economy figure of 78.5mpg. 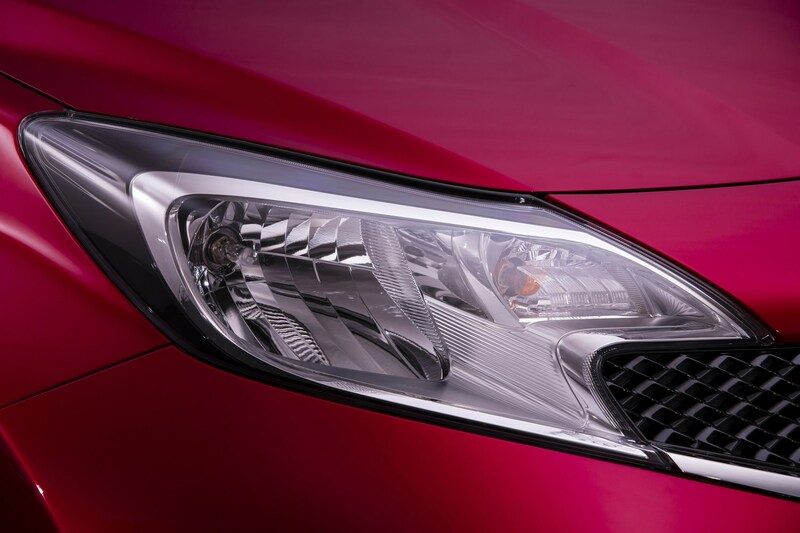 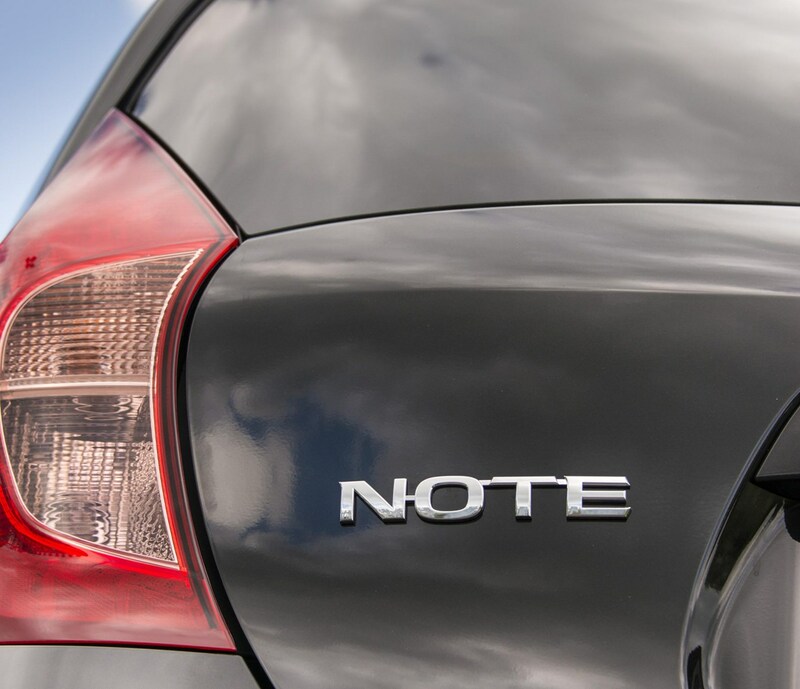 The new Note offers three trim grades – Visia, Acenta and Tekna. 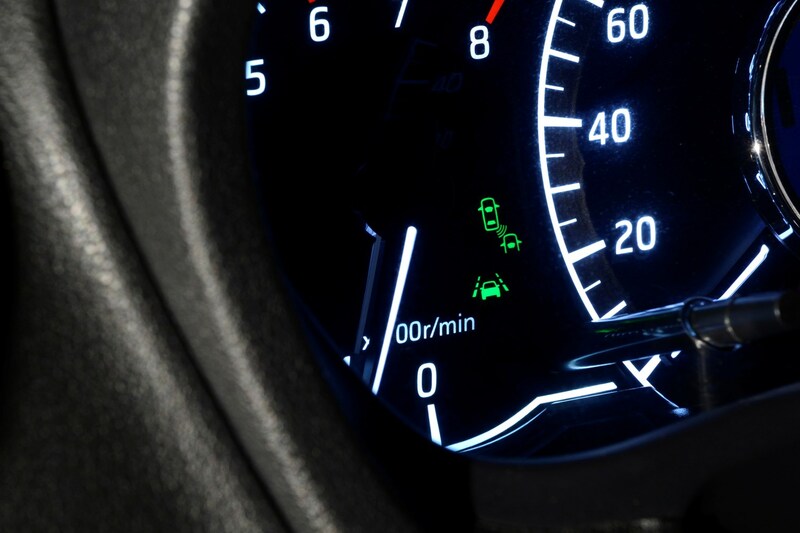 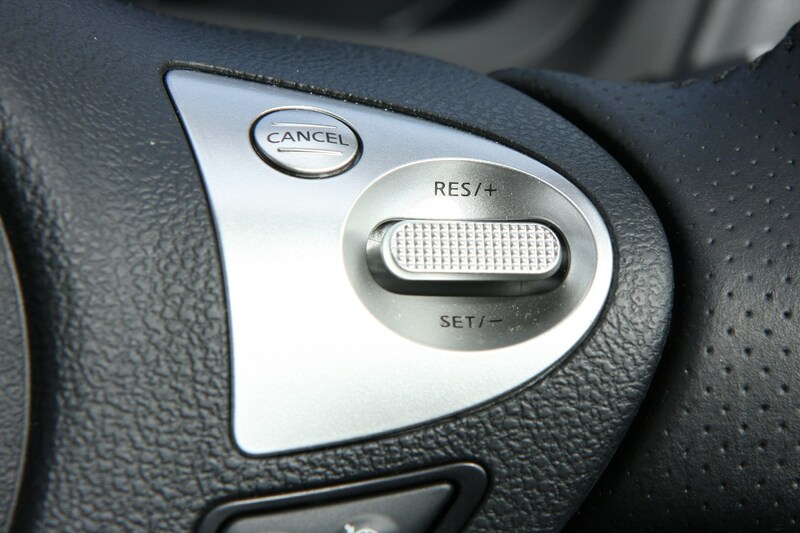 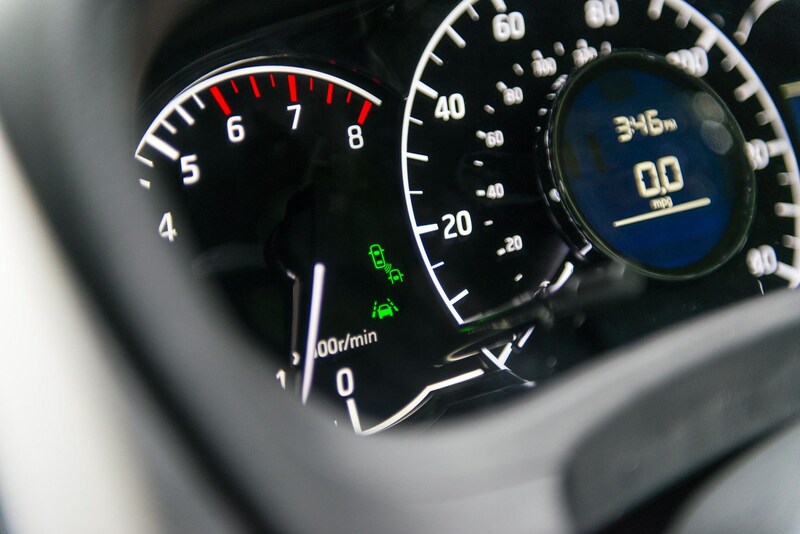 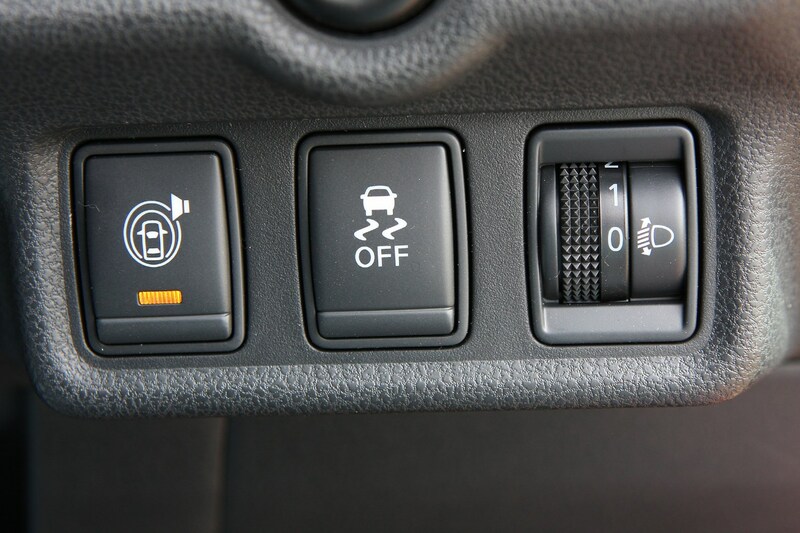 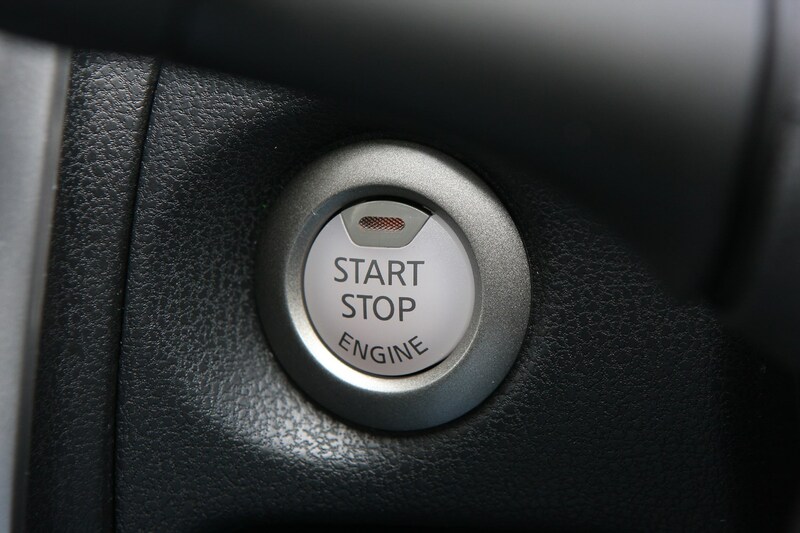 All models will feature stop/start, six airbags and cruise control with a speed limiter. 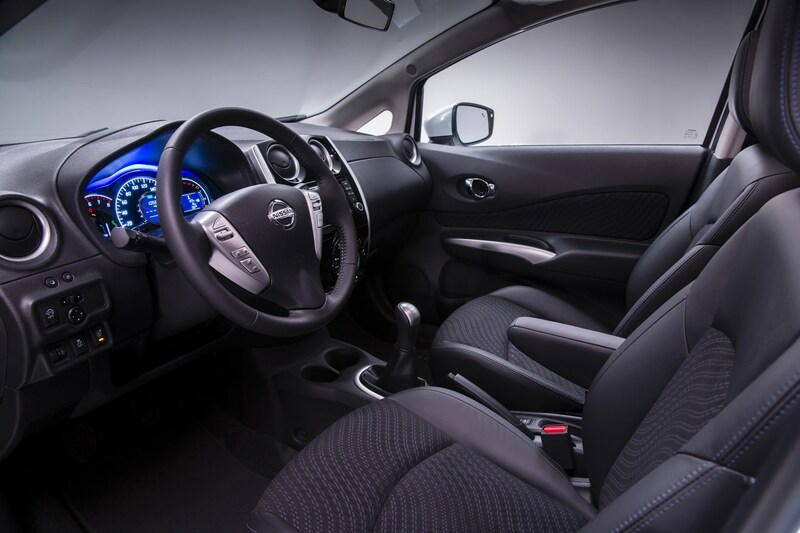 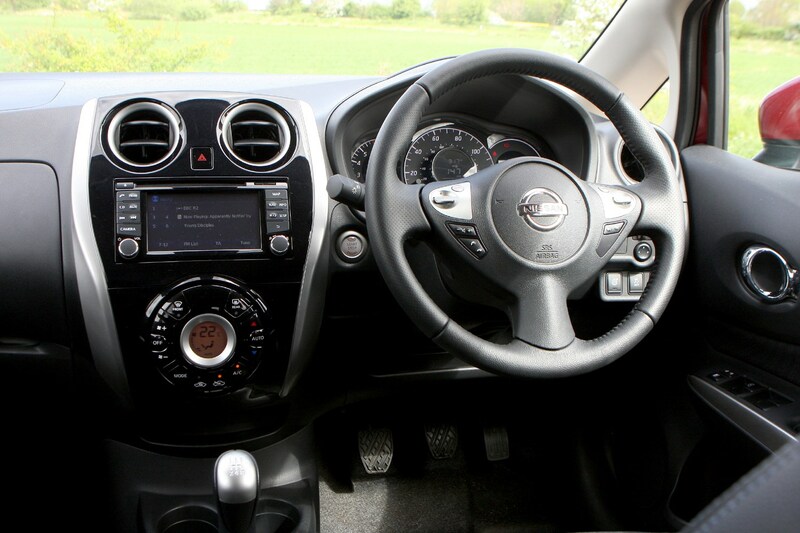 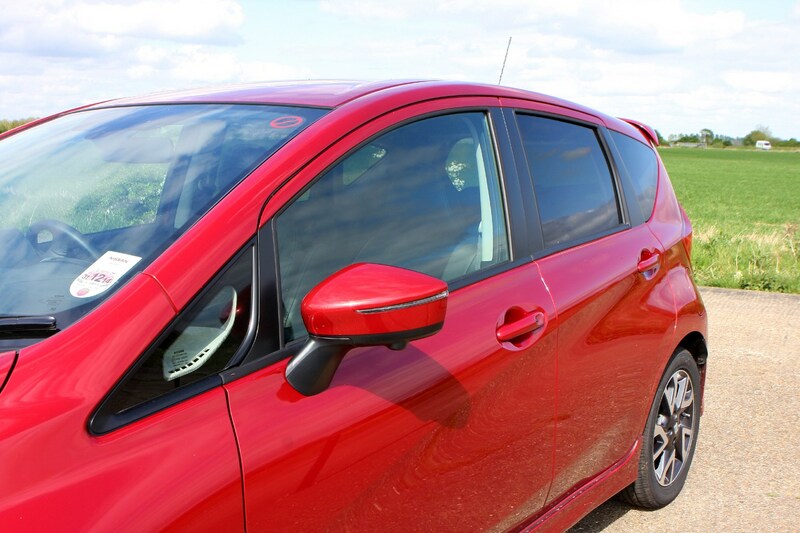 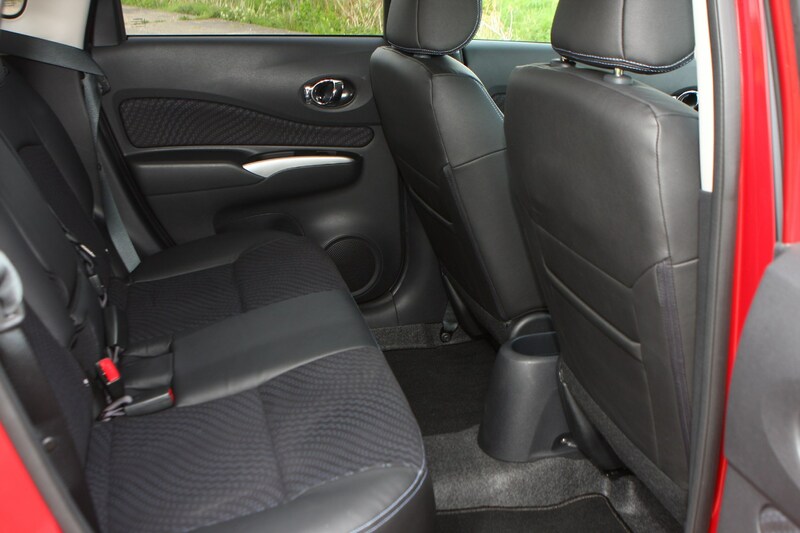 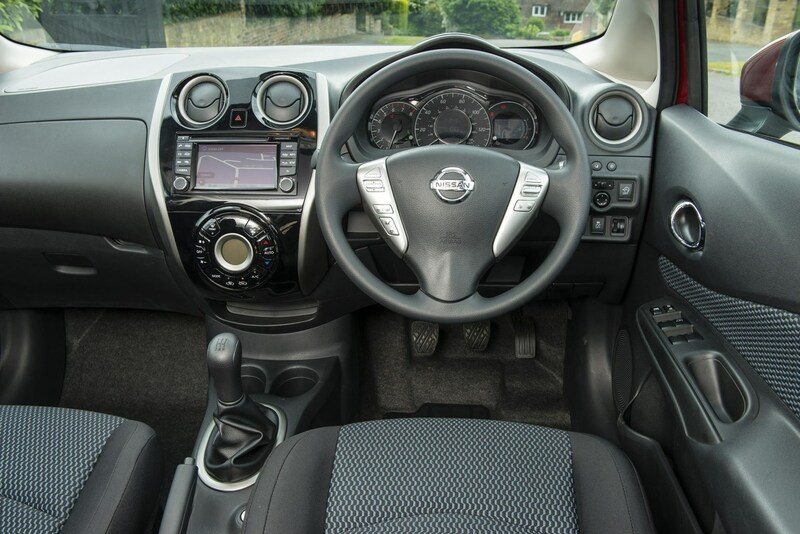 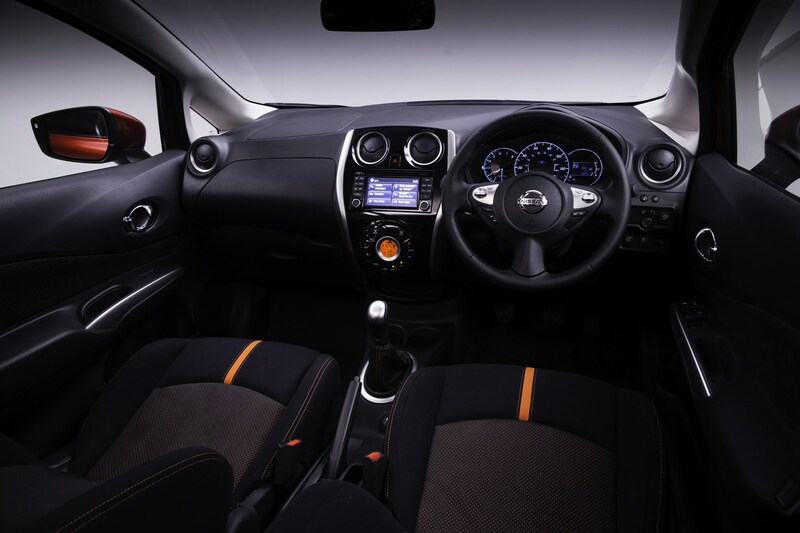 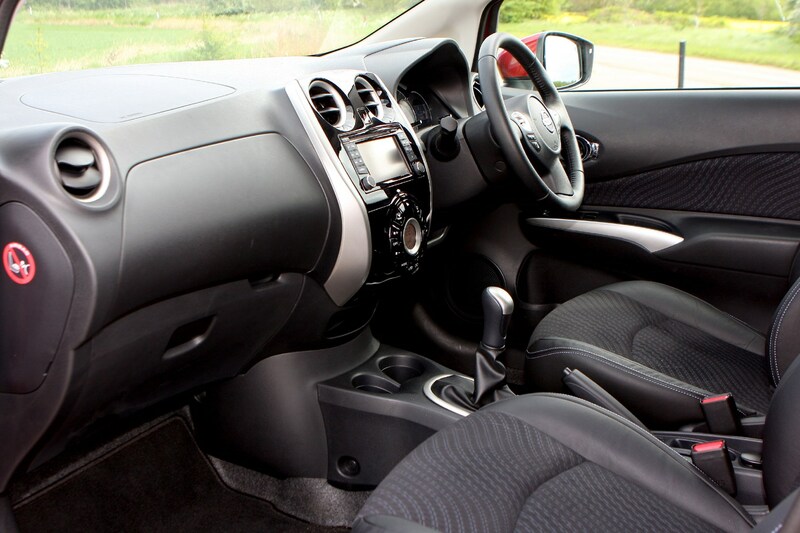 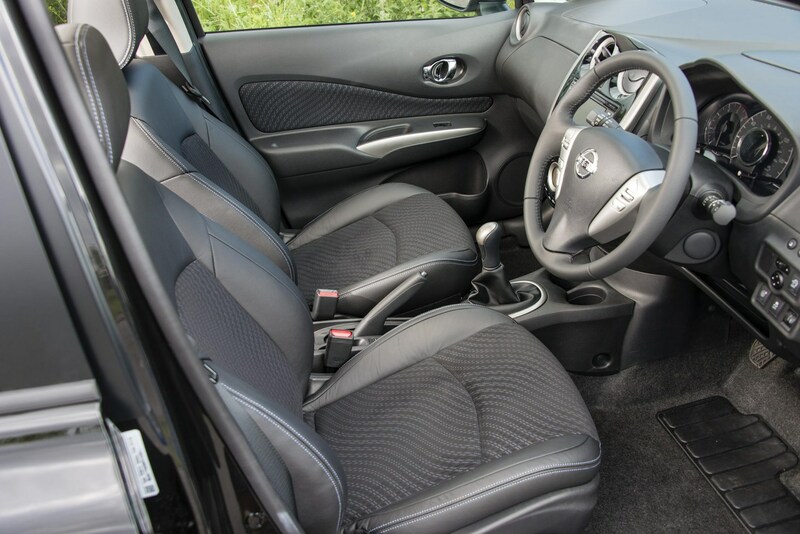 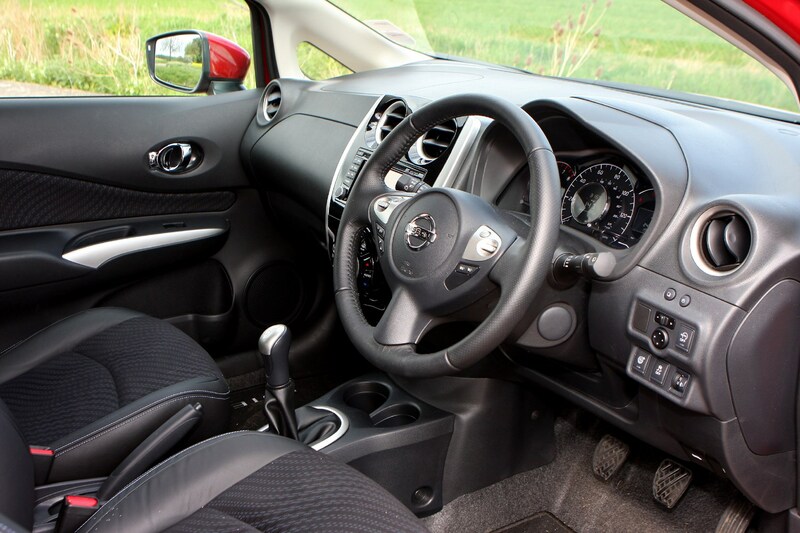 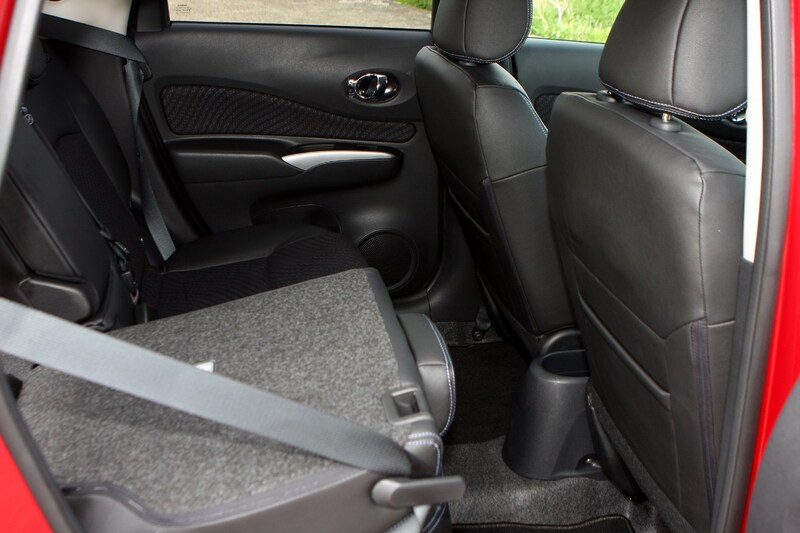 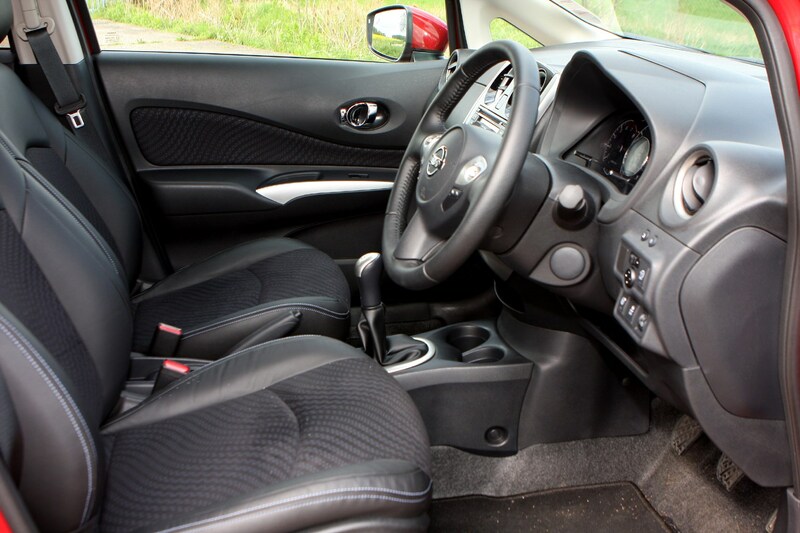 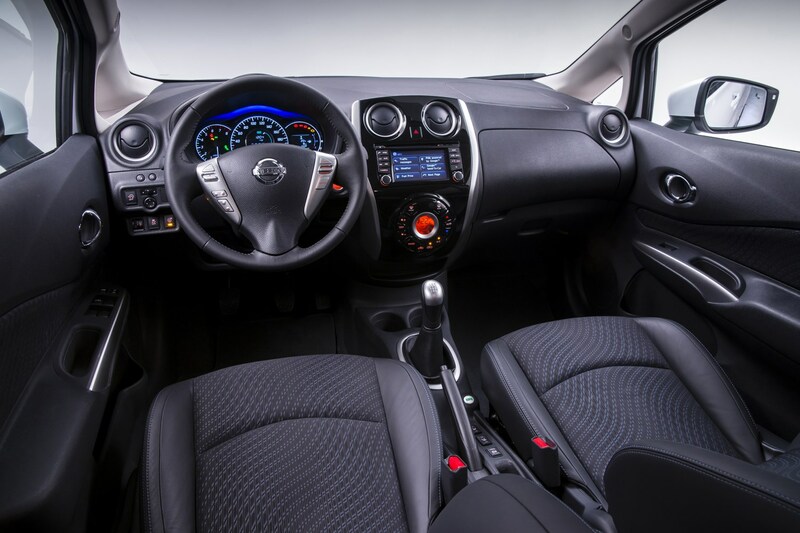 Mid-spec Acenta models add air-conditioning, Bluetooth connection and rear electric windows, while top grade Tekna models feature the Safety Shield pack, Nissan Connect, Around View Monitor, part leather trim and keyless entry with i-key.